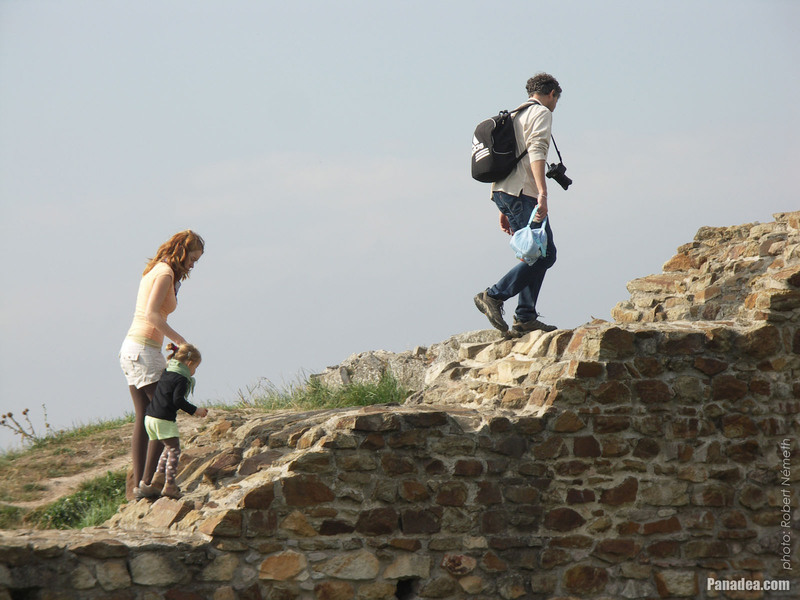 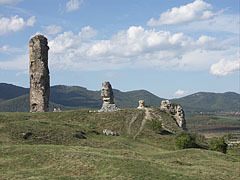 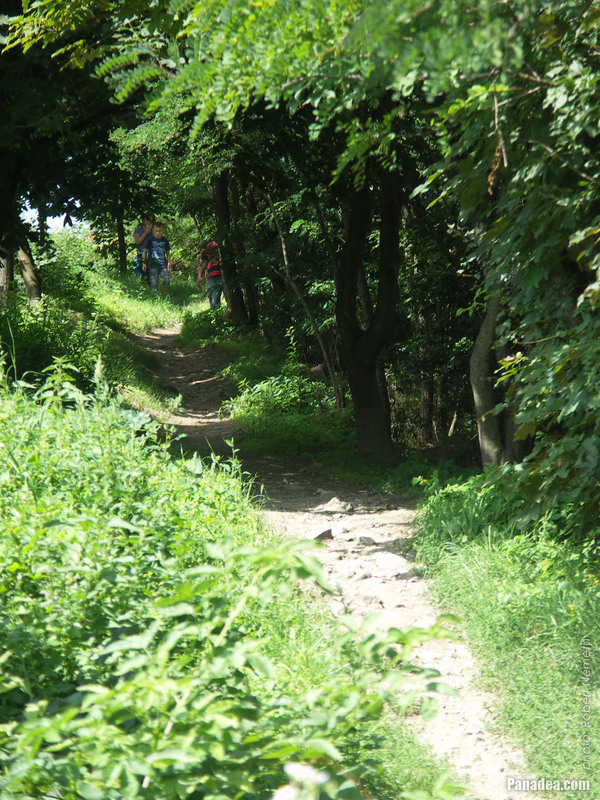 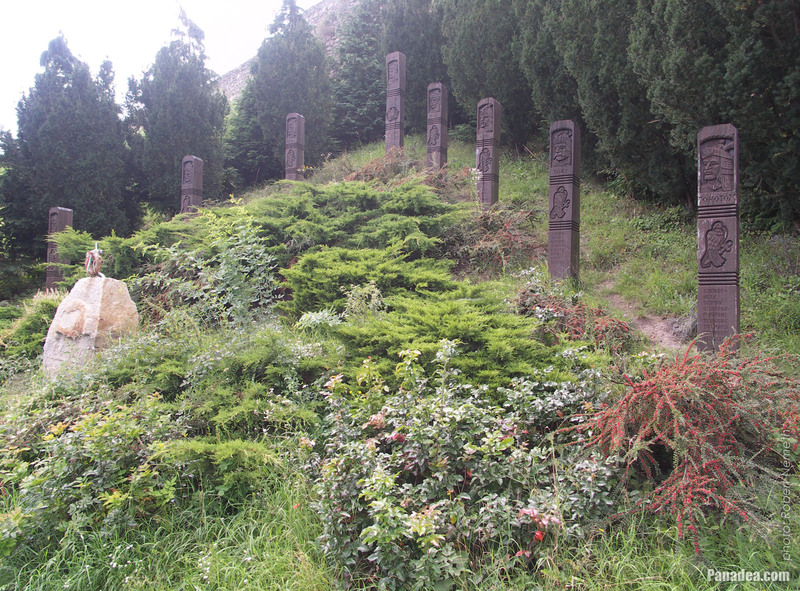 The ruins are situated on a castle hill, which is 286 meters high above the sea level, but compared to the surroundings it is only 50-60 meters higher. 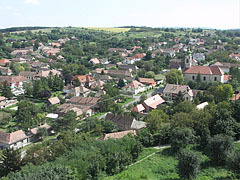 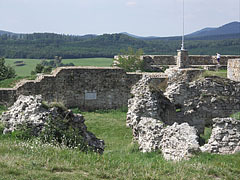 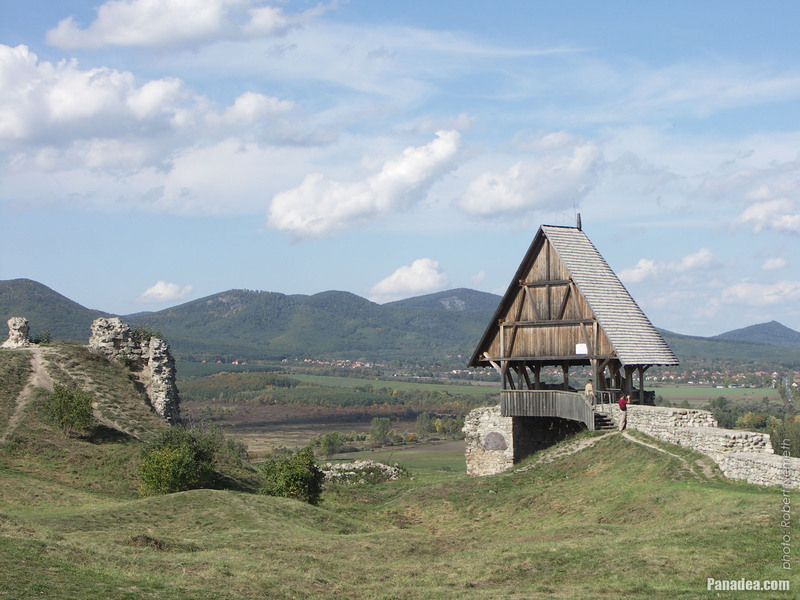 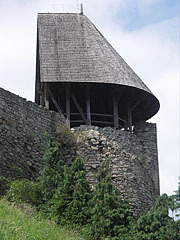 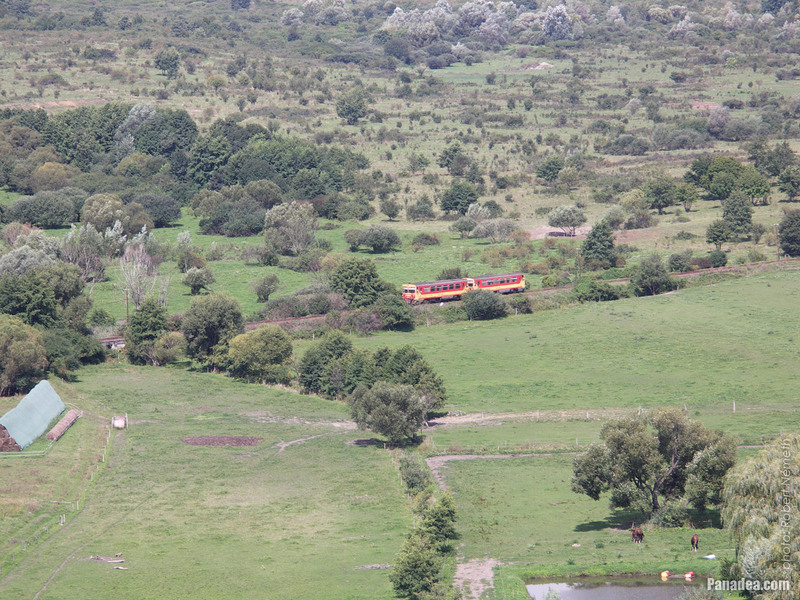 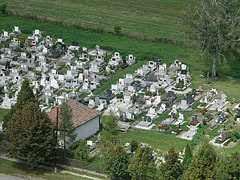 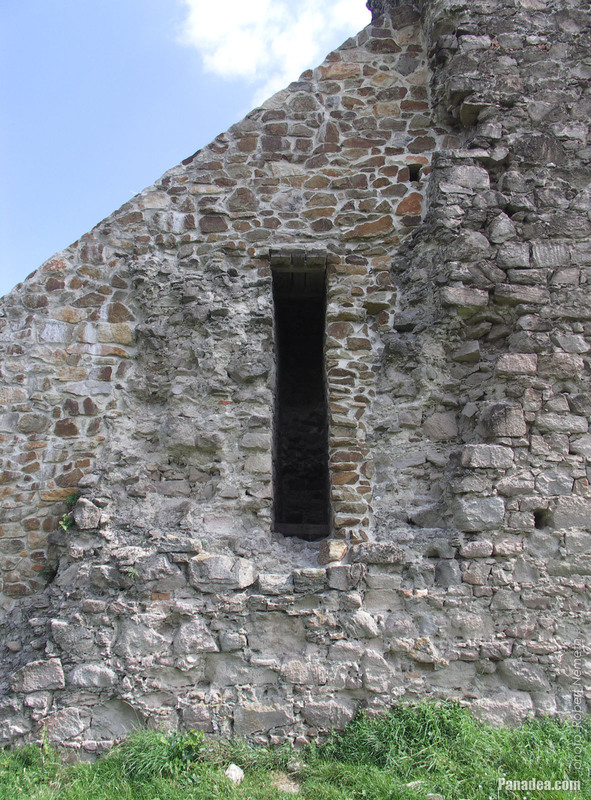 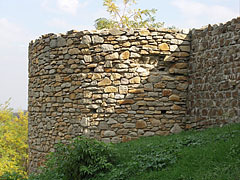 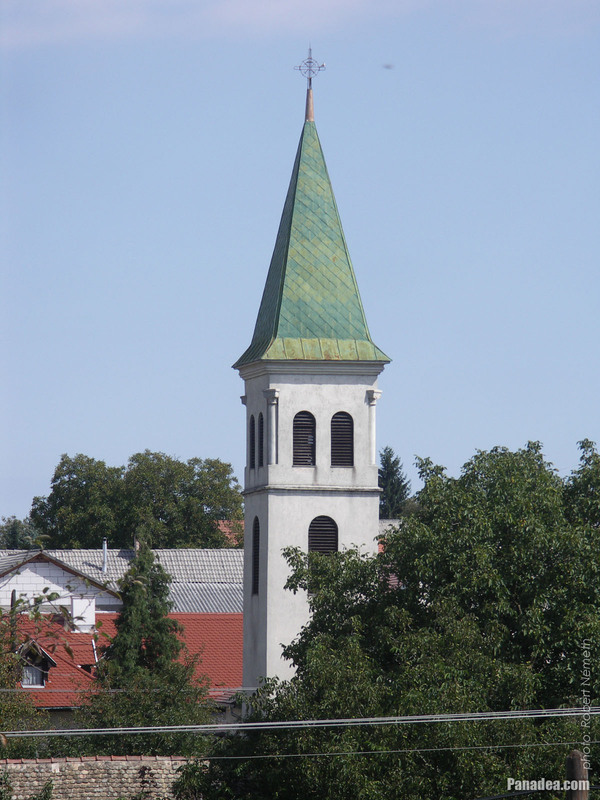 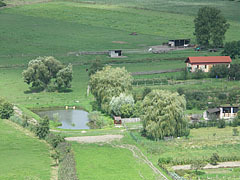 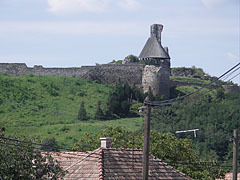 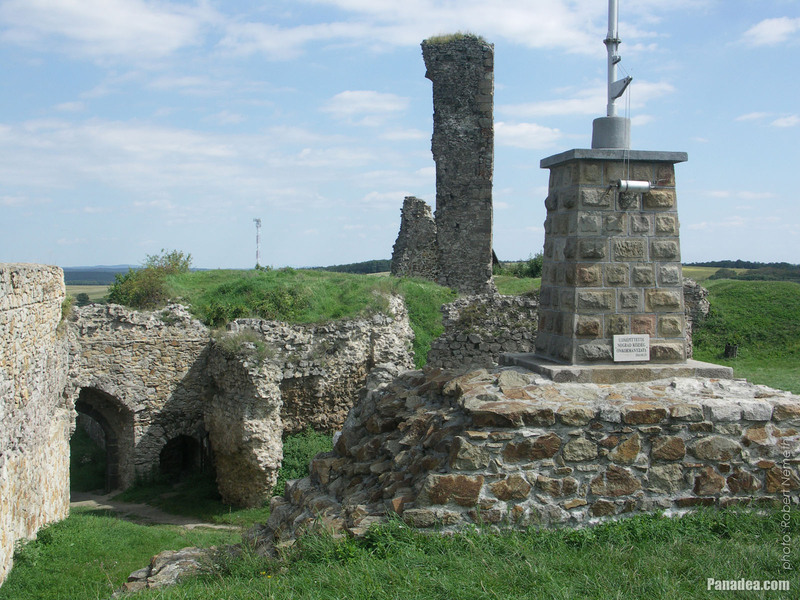 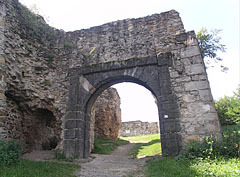 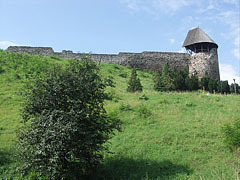 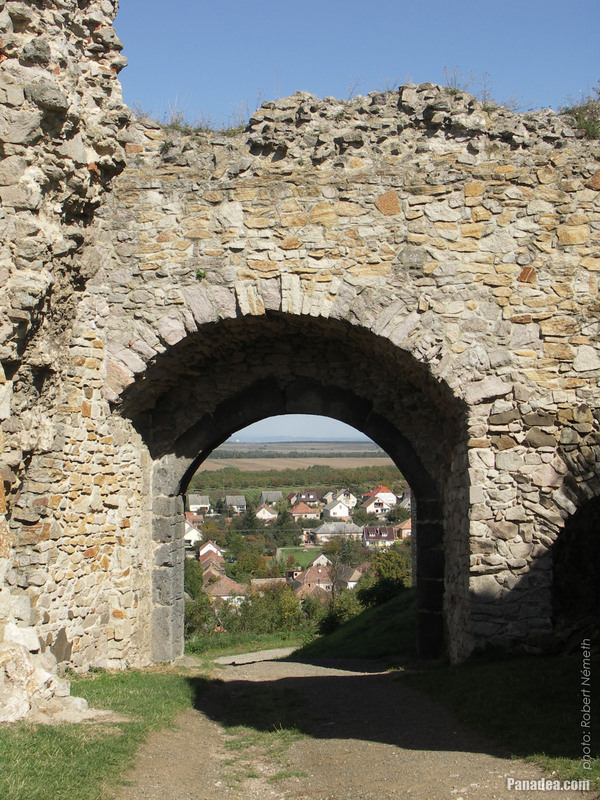 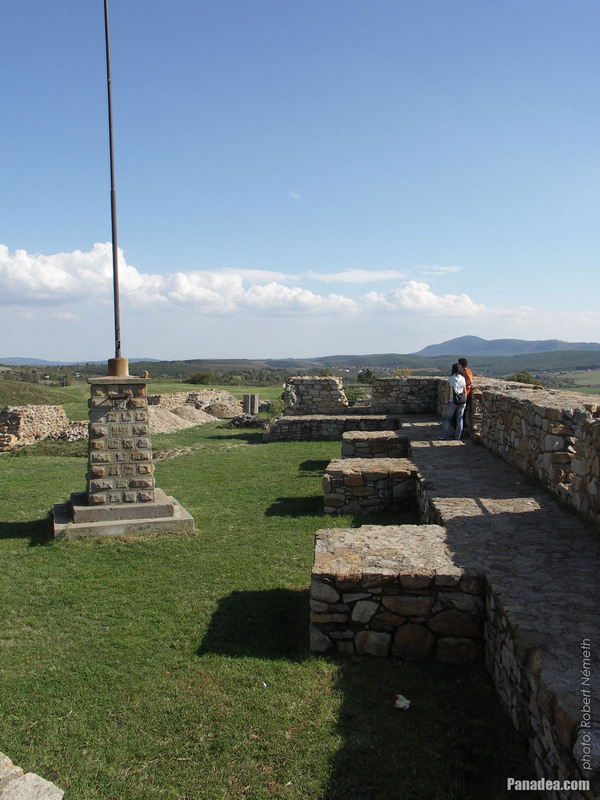 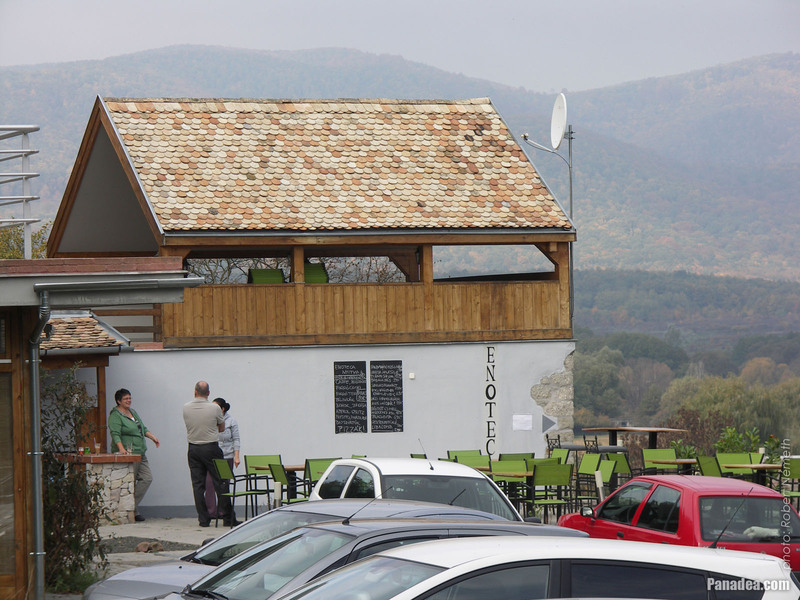 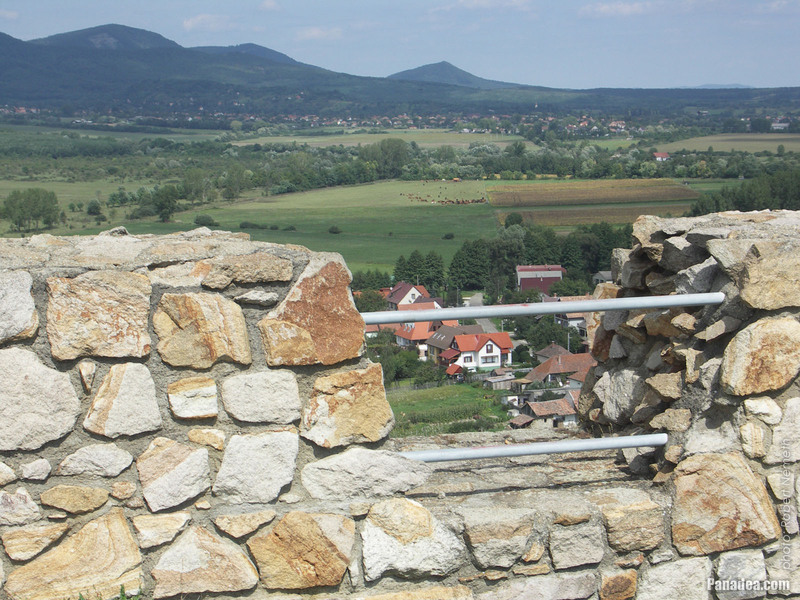 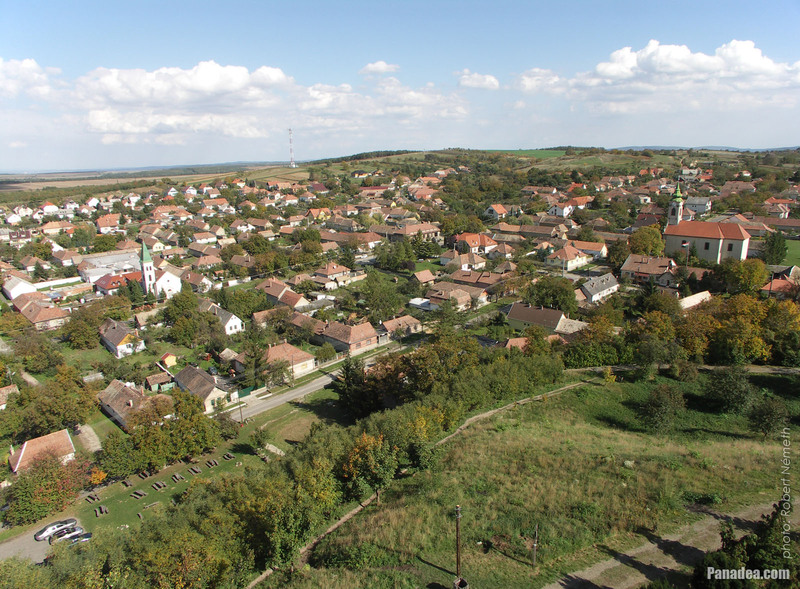 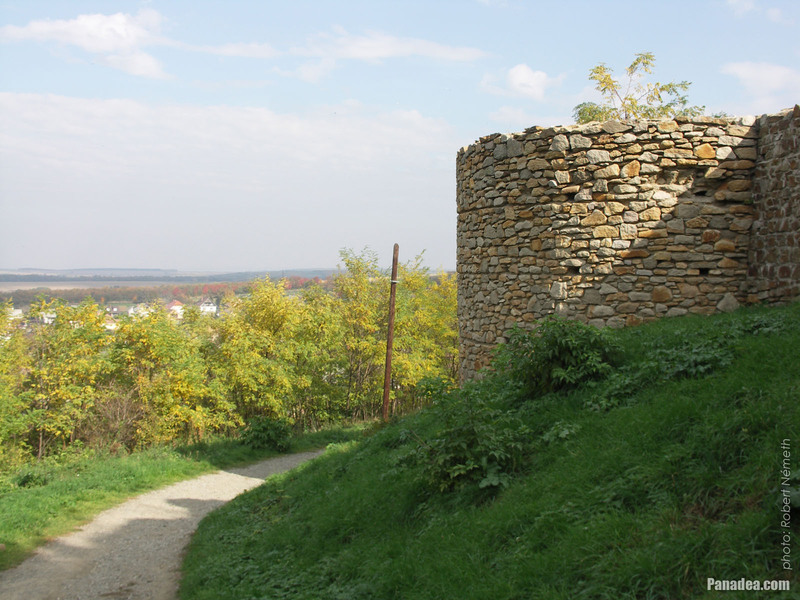 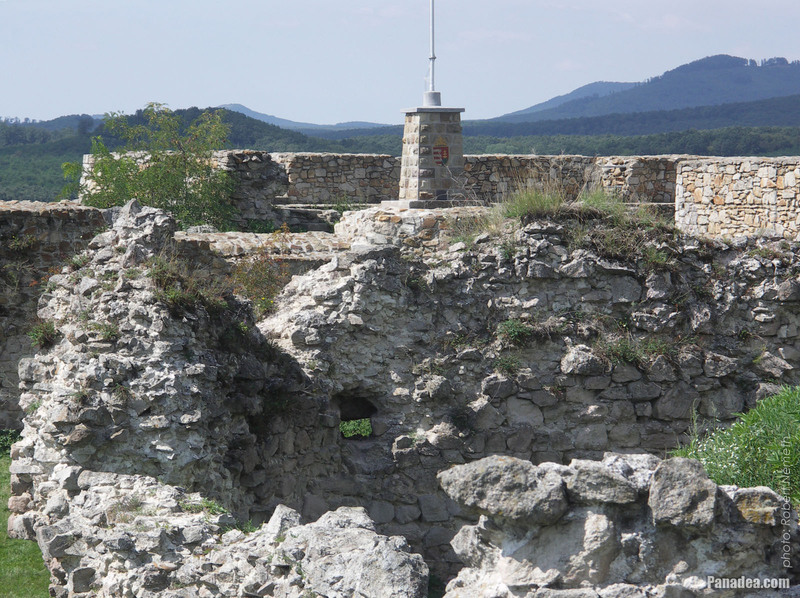 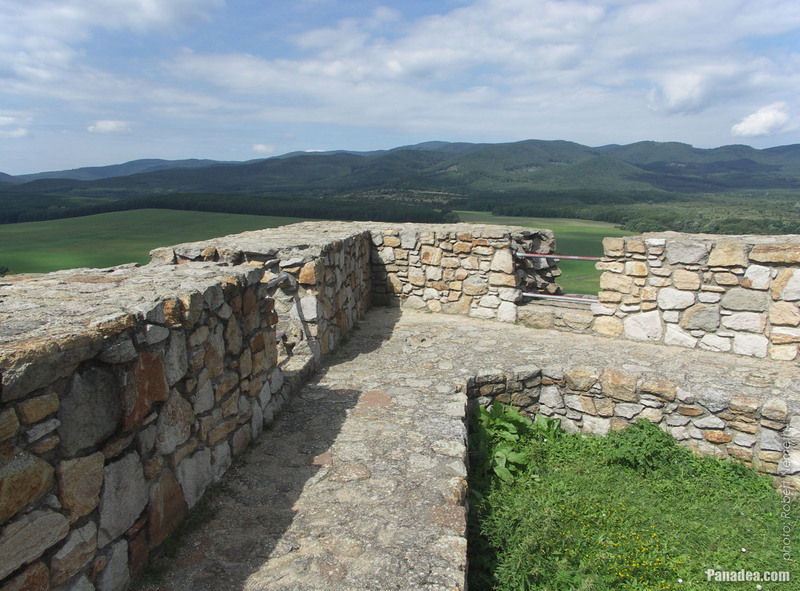 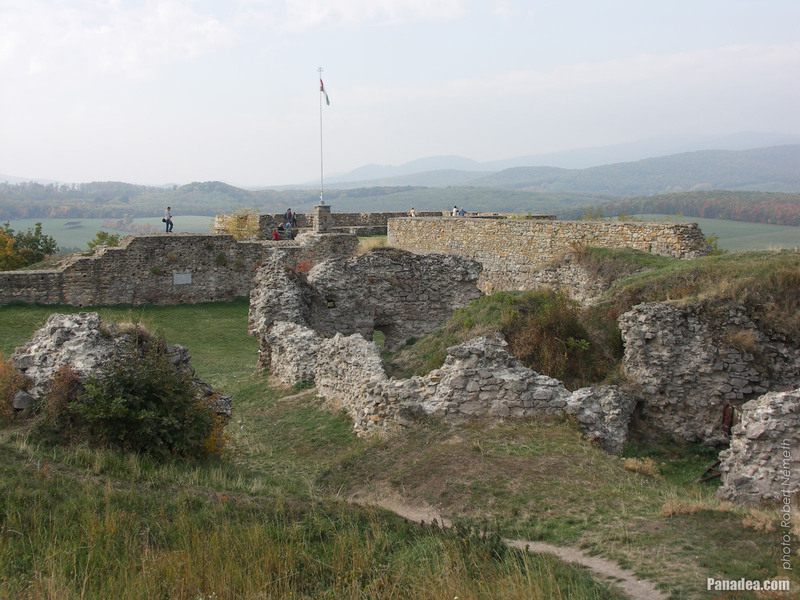 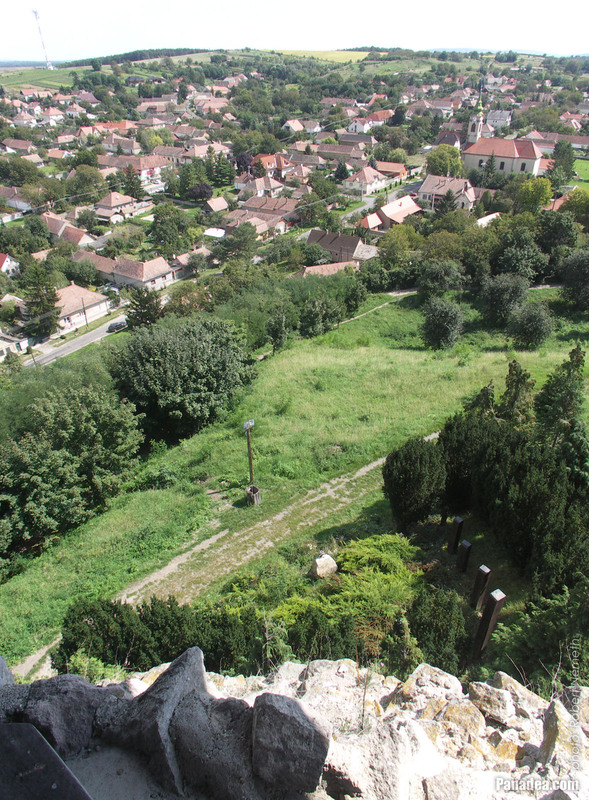 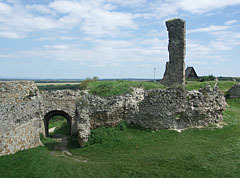 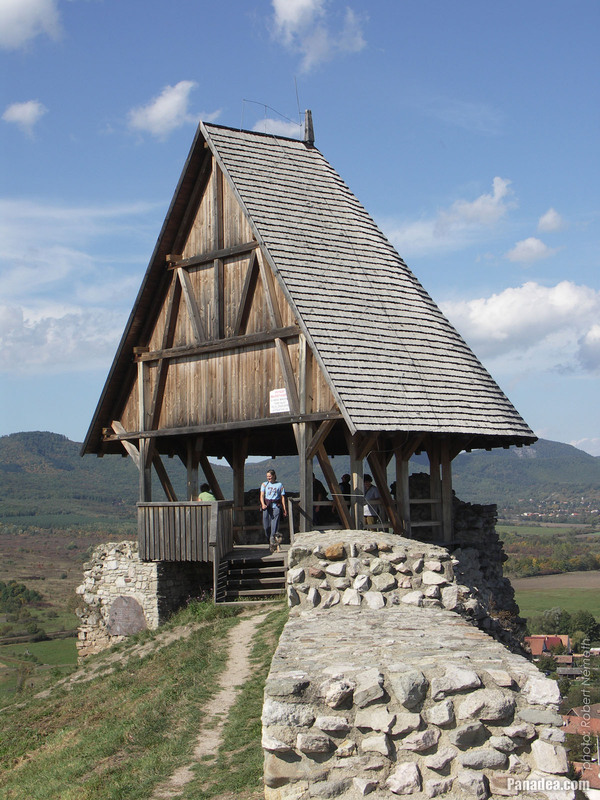 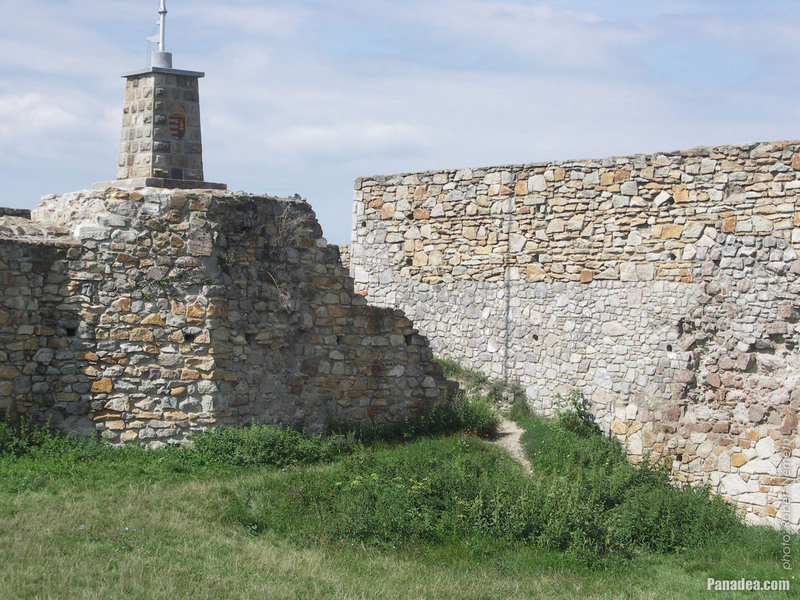 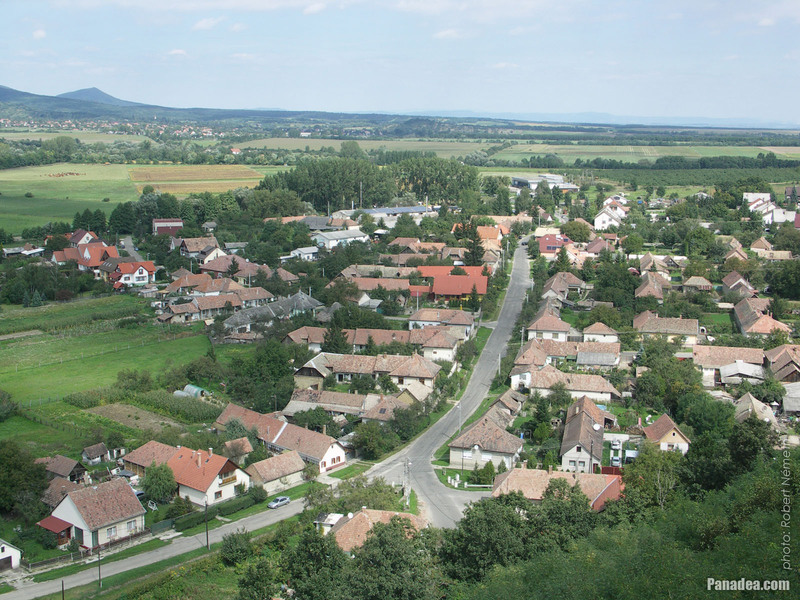 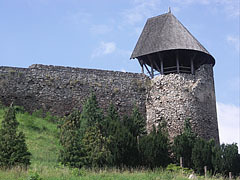 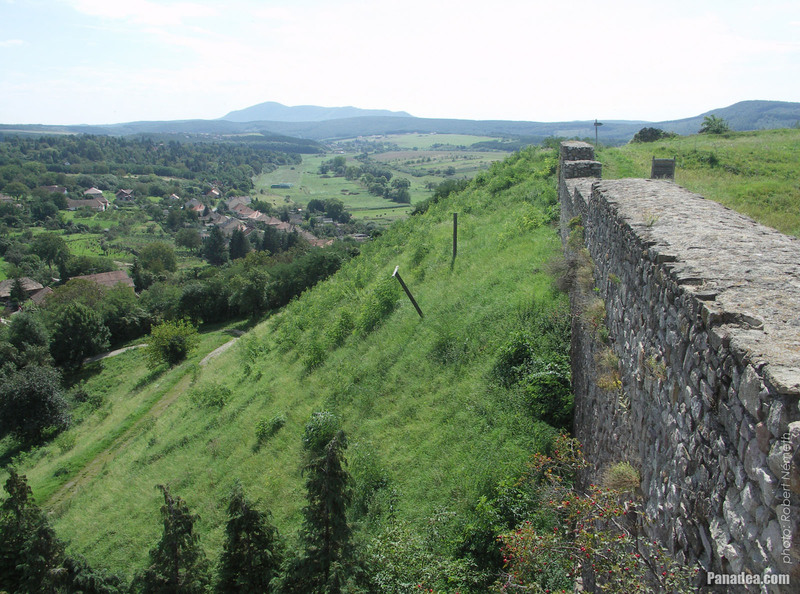 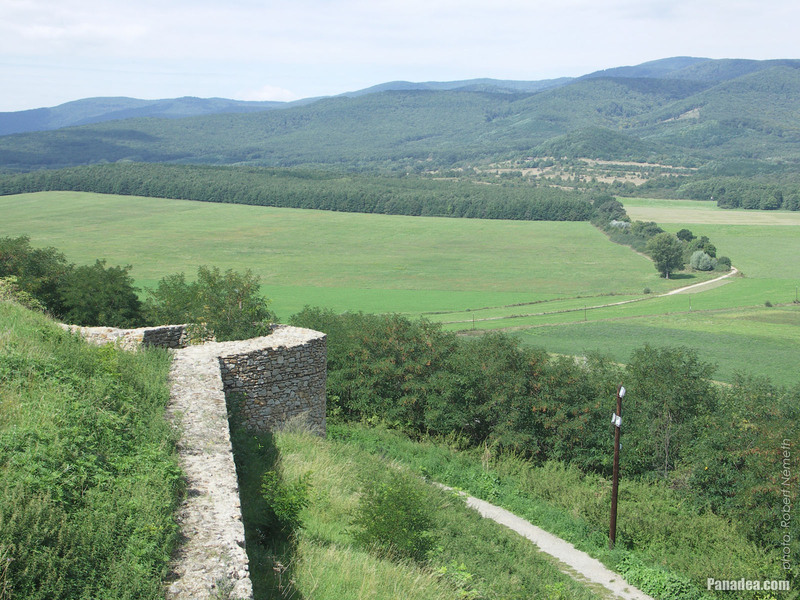 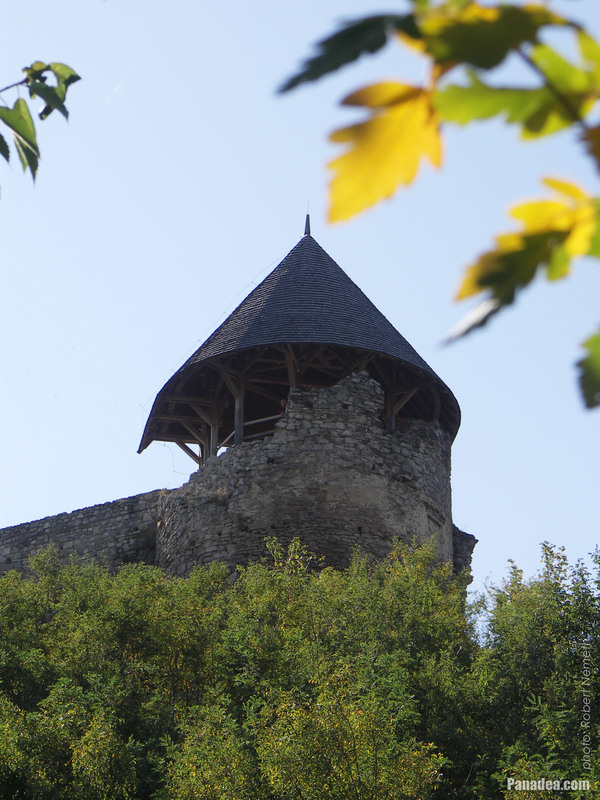 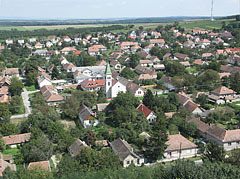 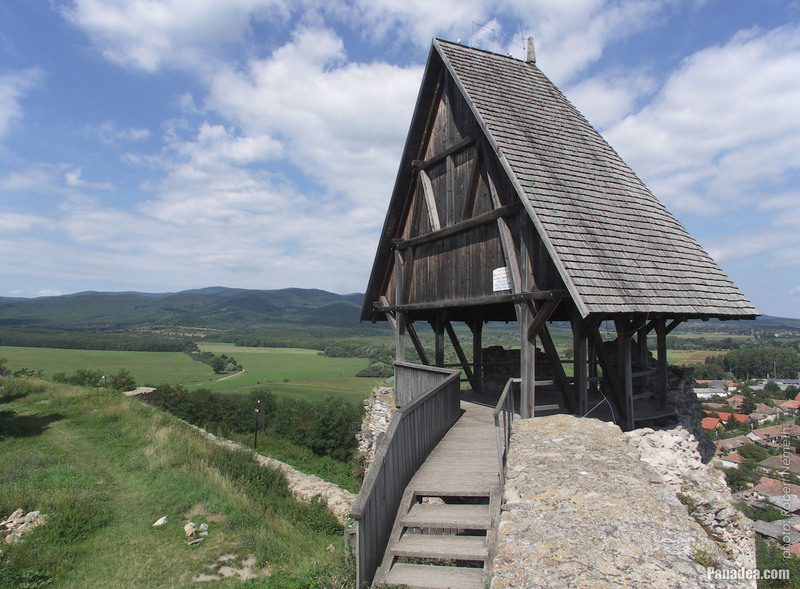 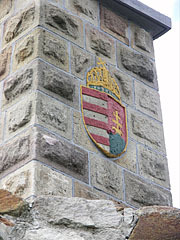 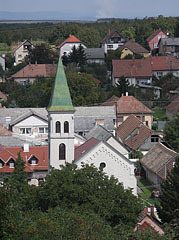 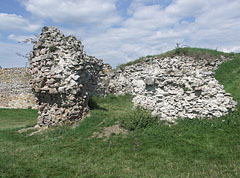 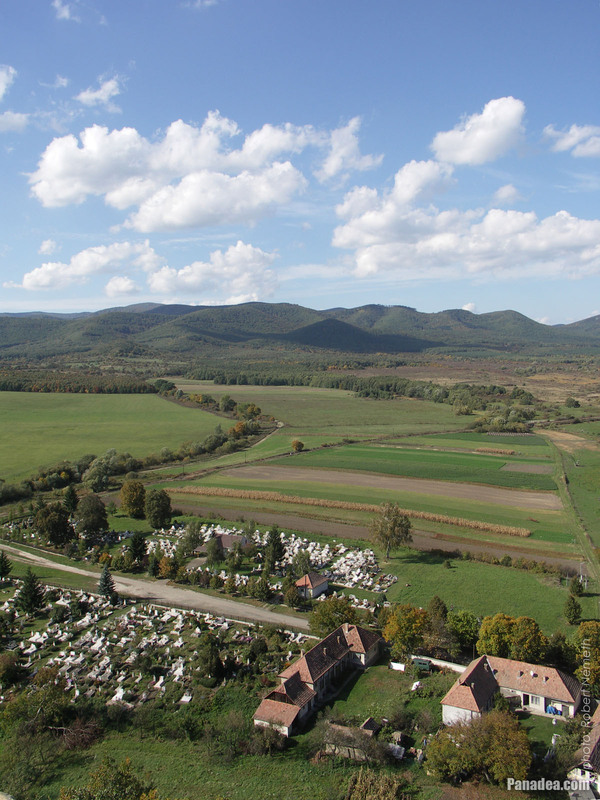 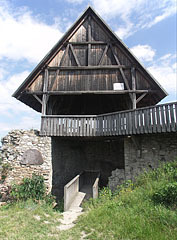 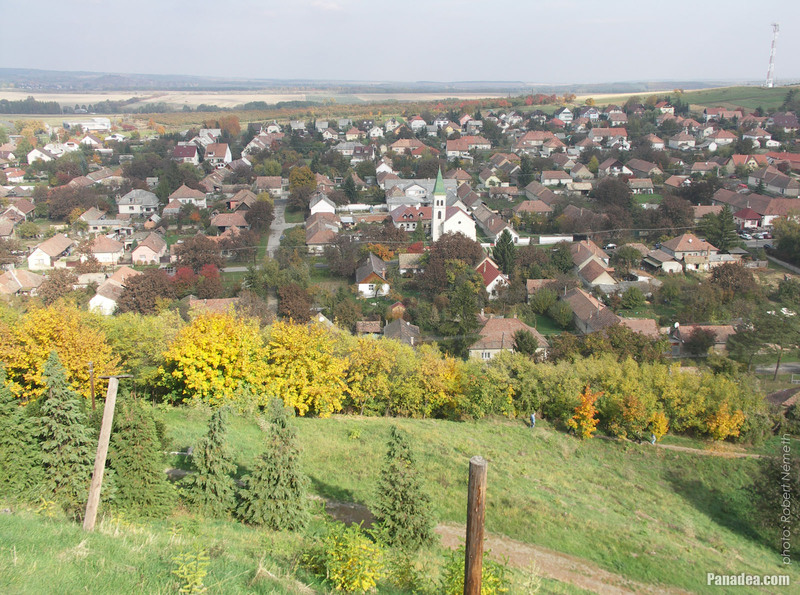 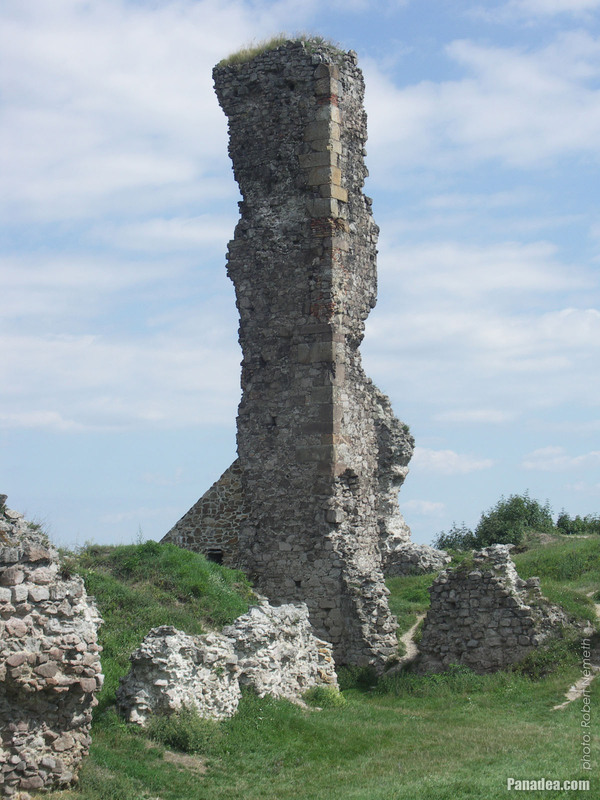 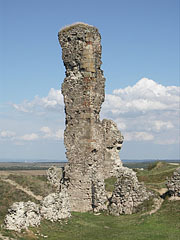 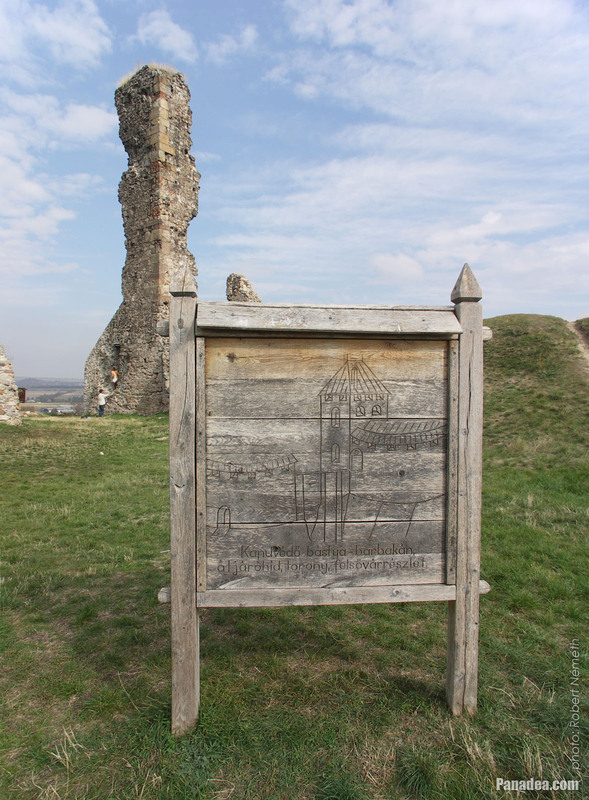 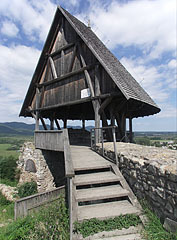 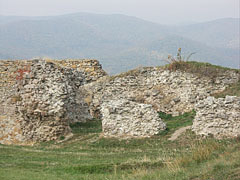 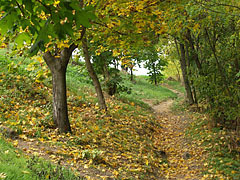 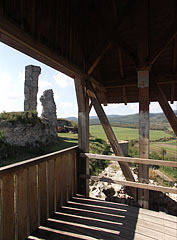 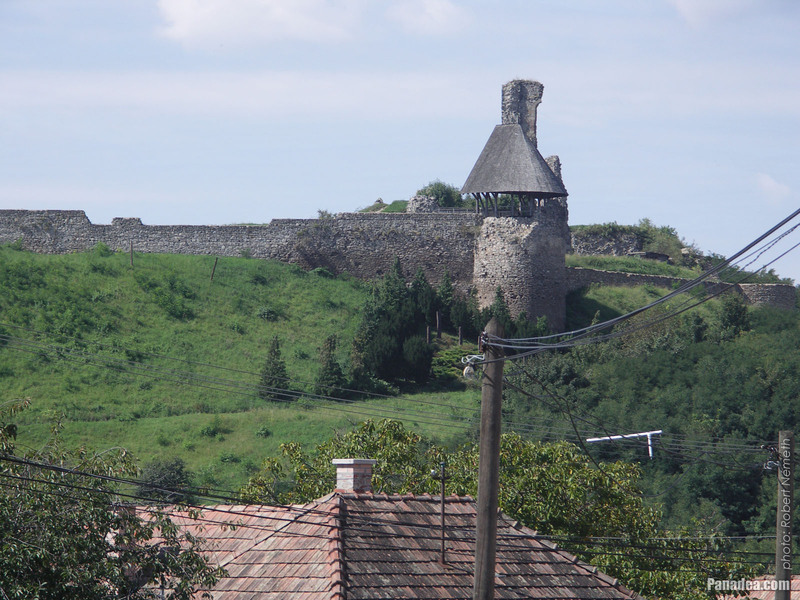 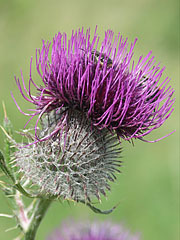 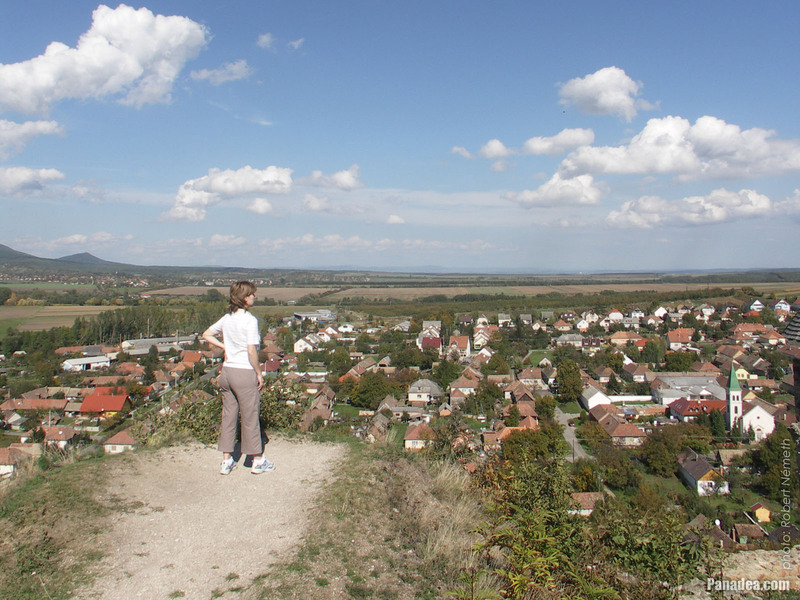 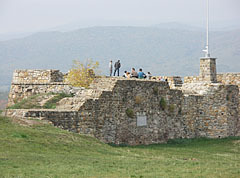 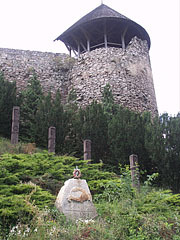 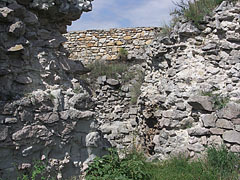 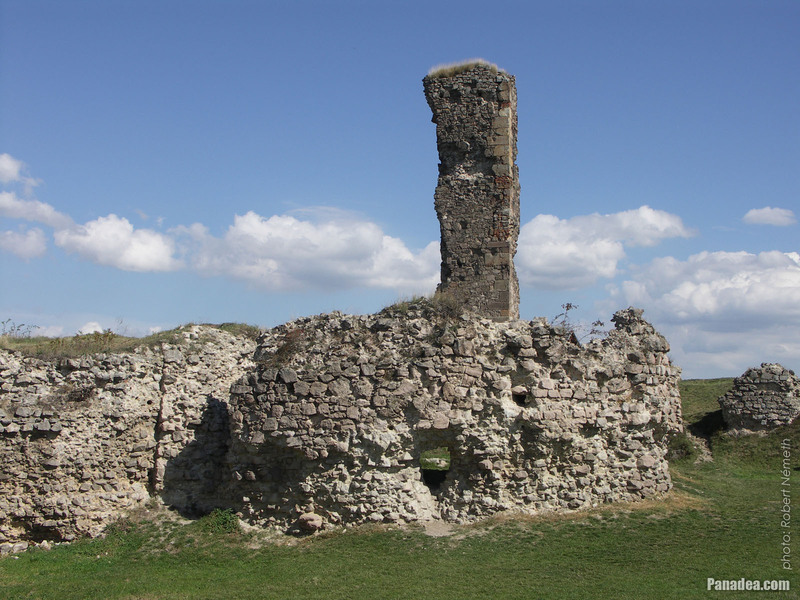 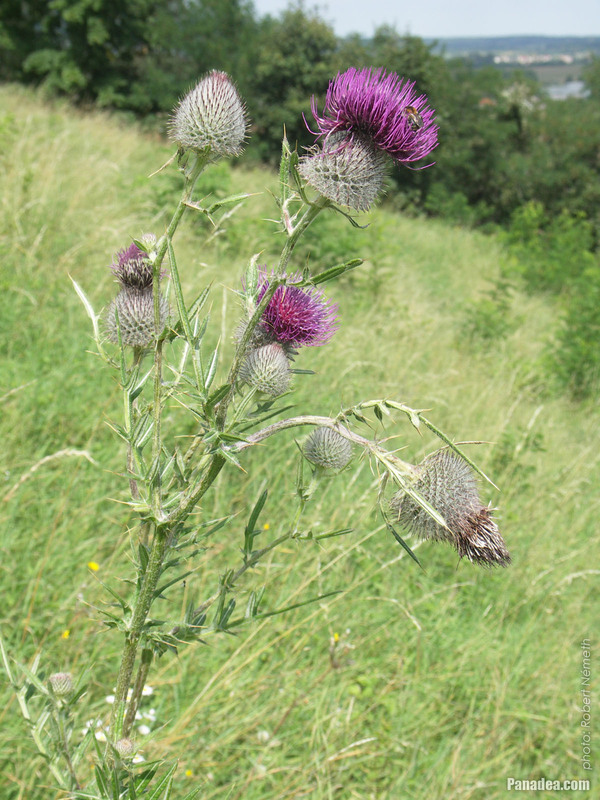 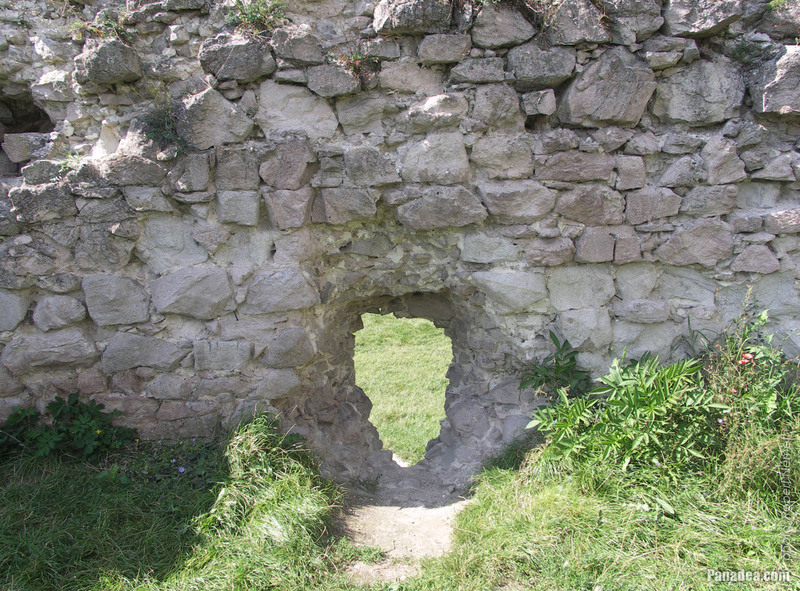 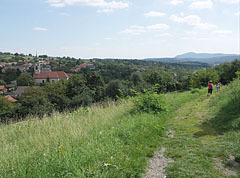 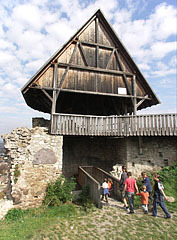 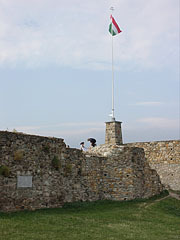 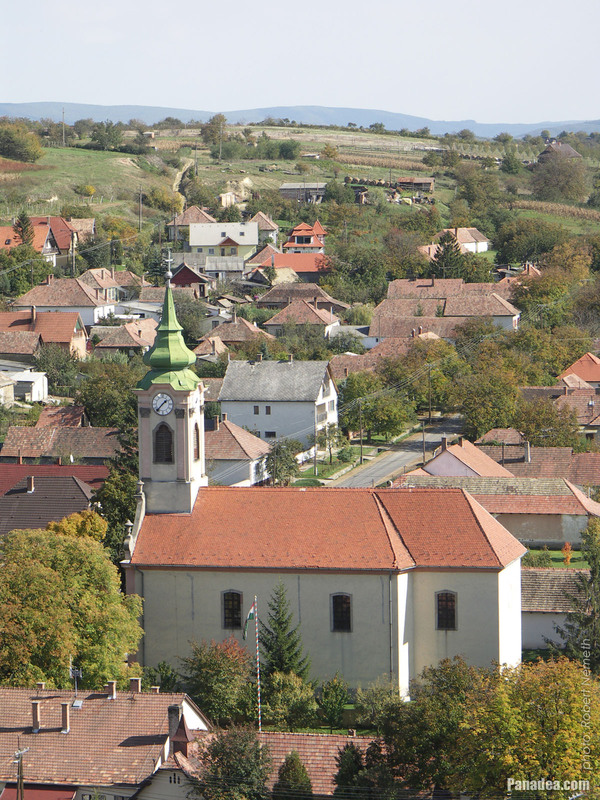 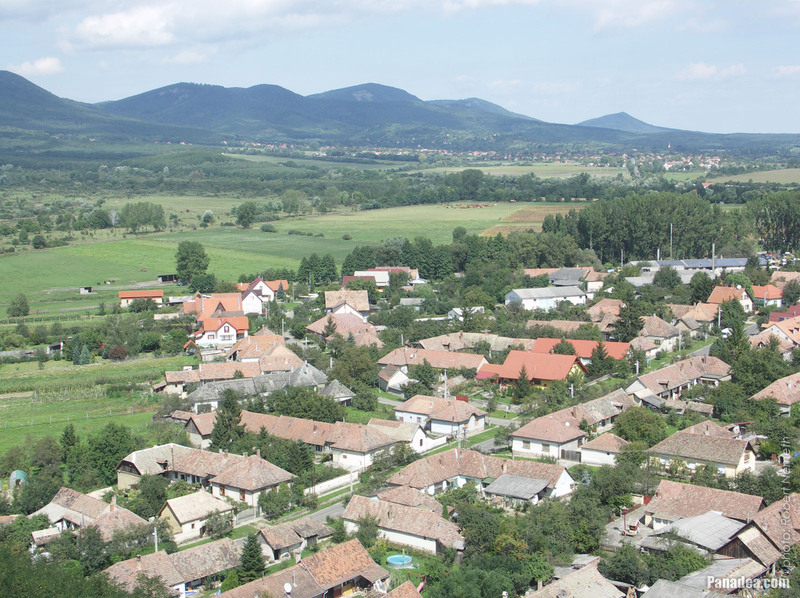 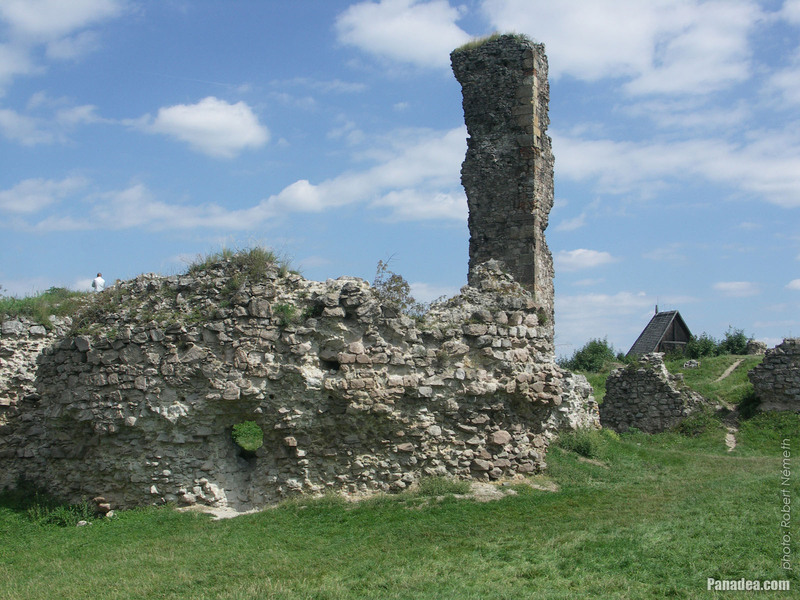 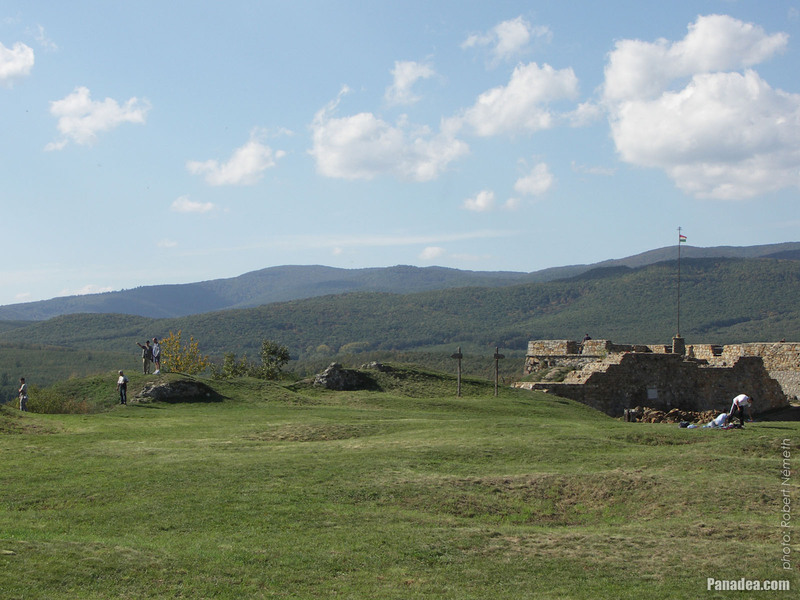 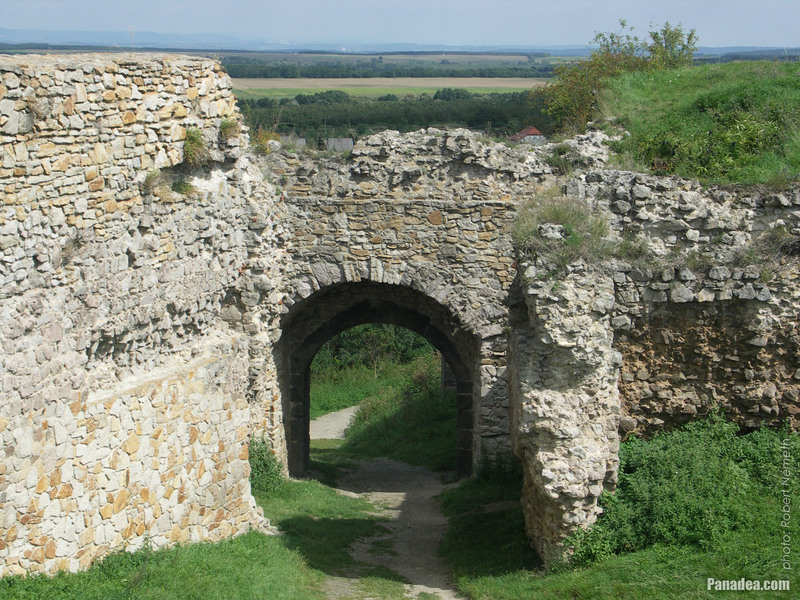 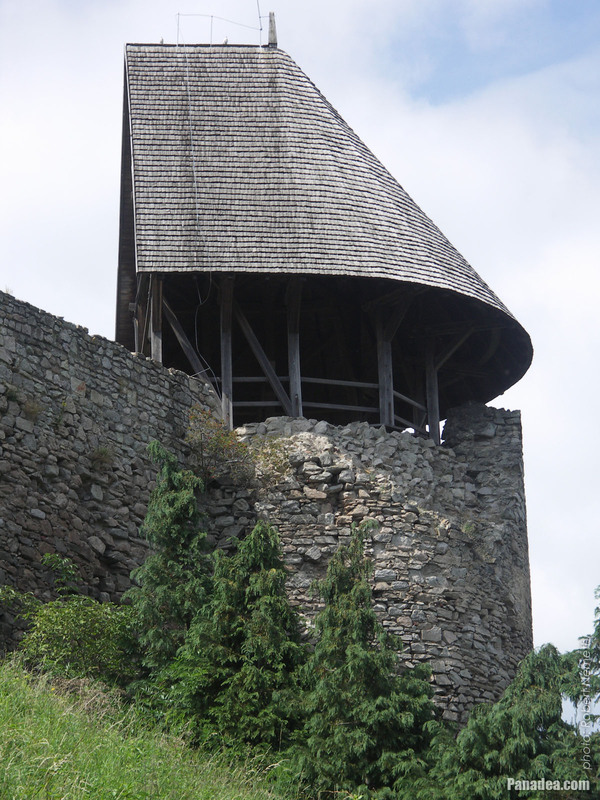 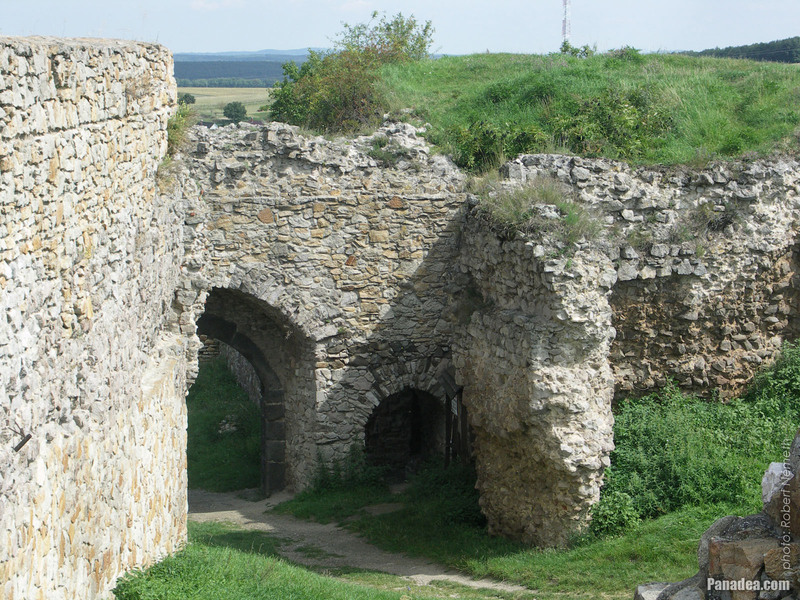 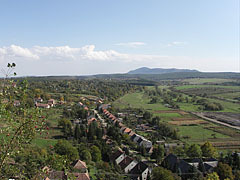 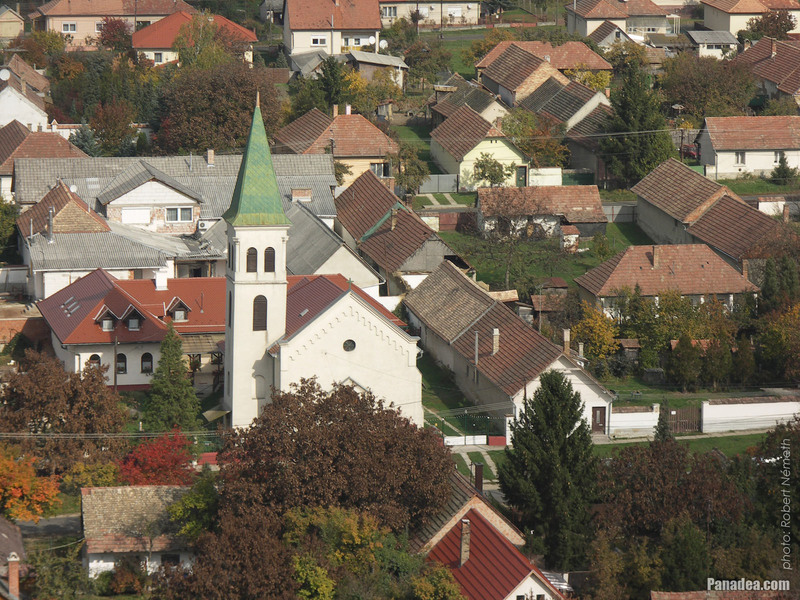 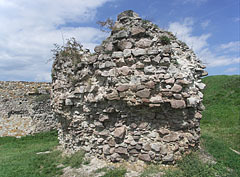 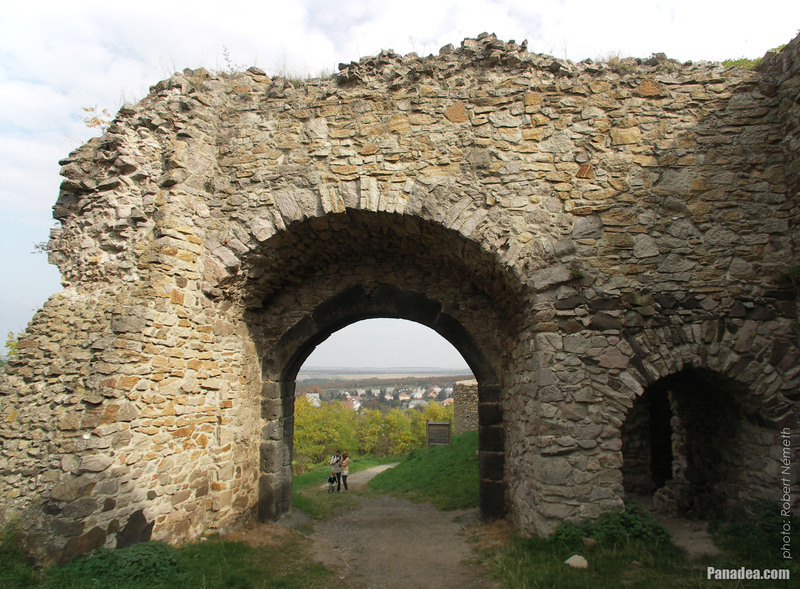 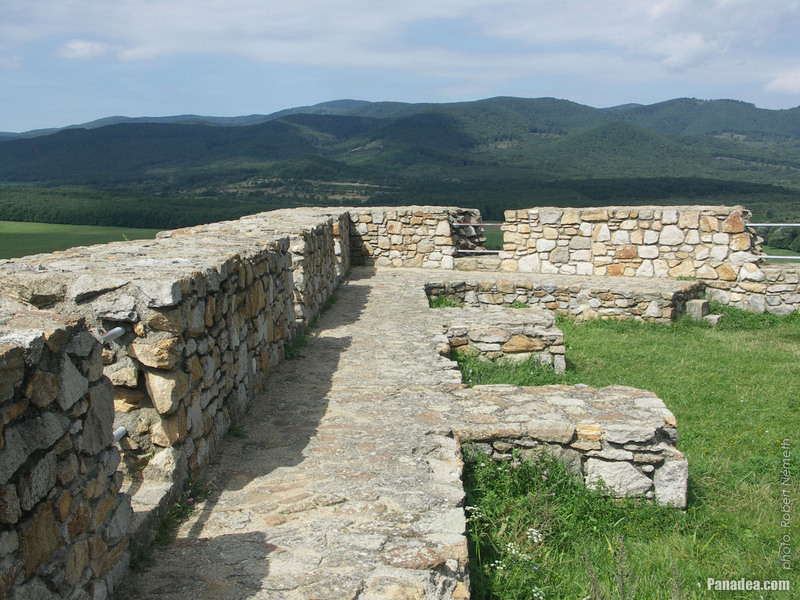 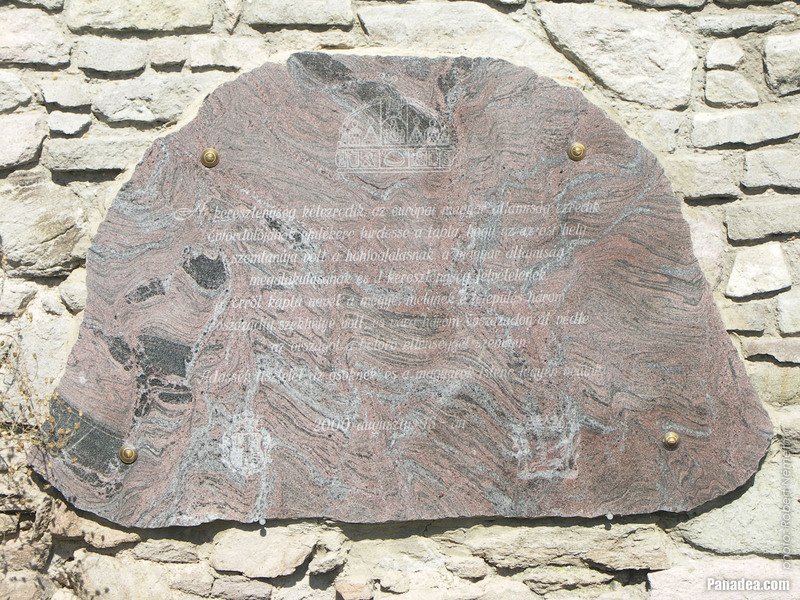 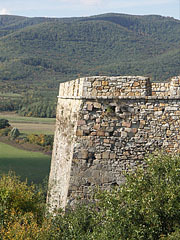 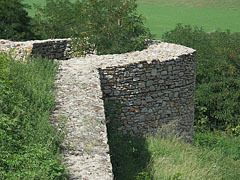 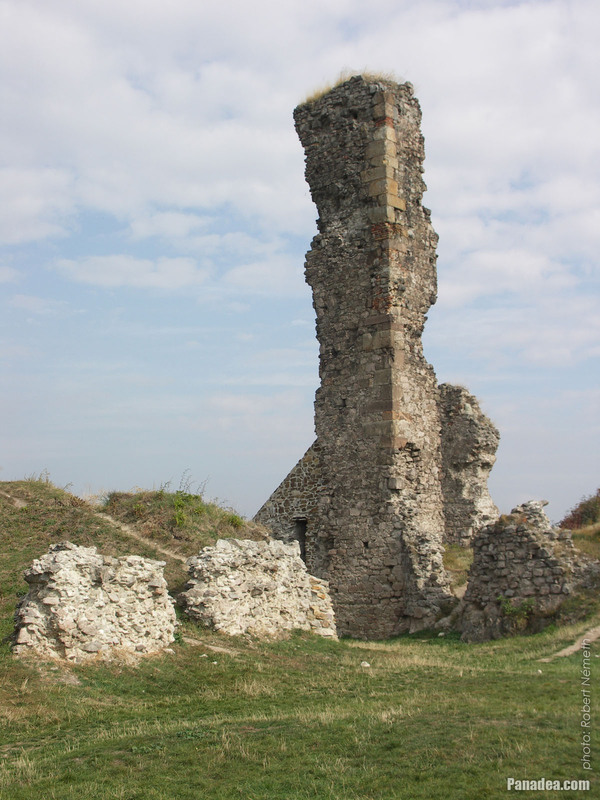 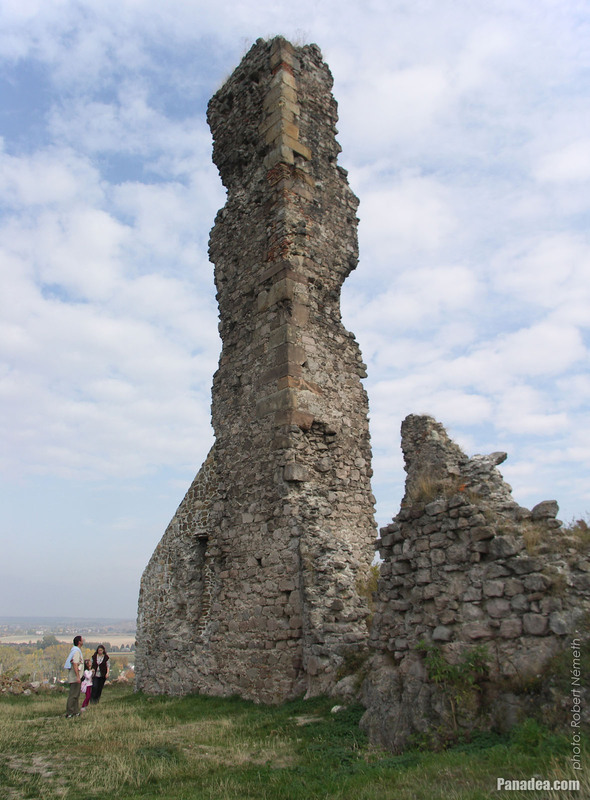 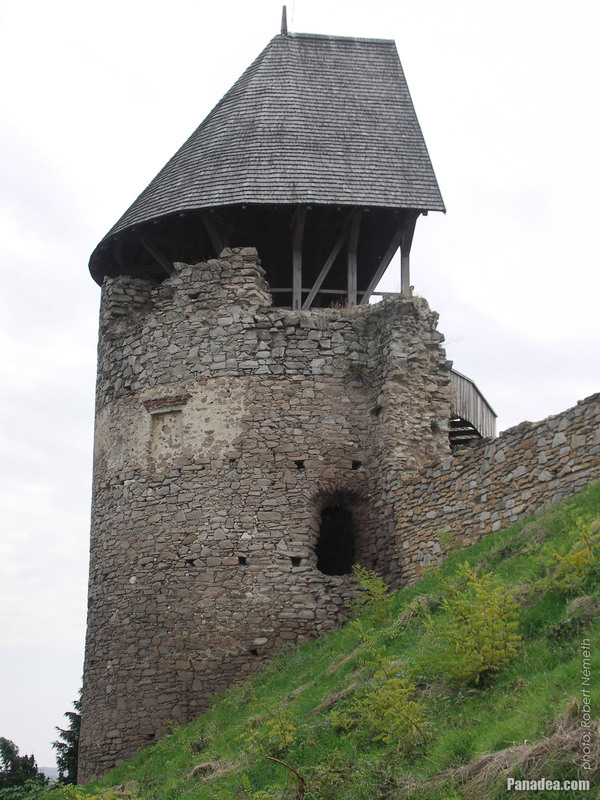 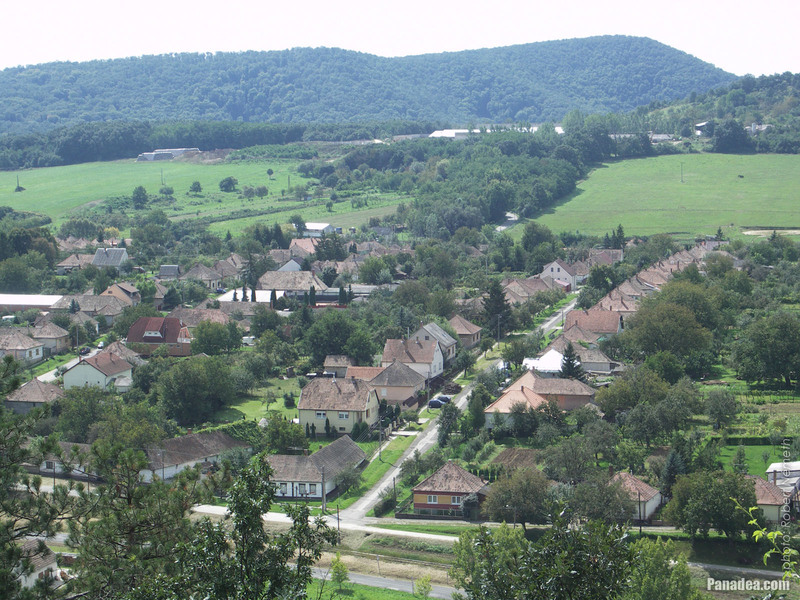 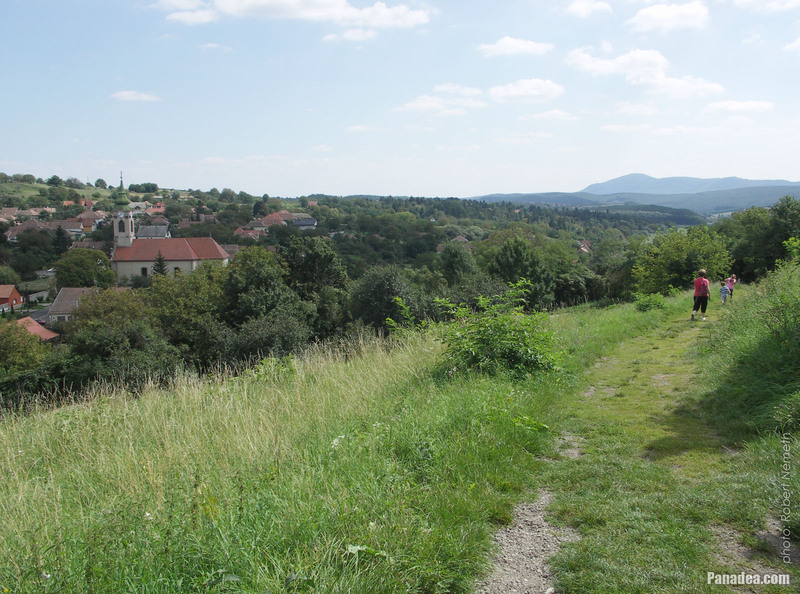 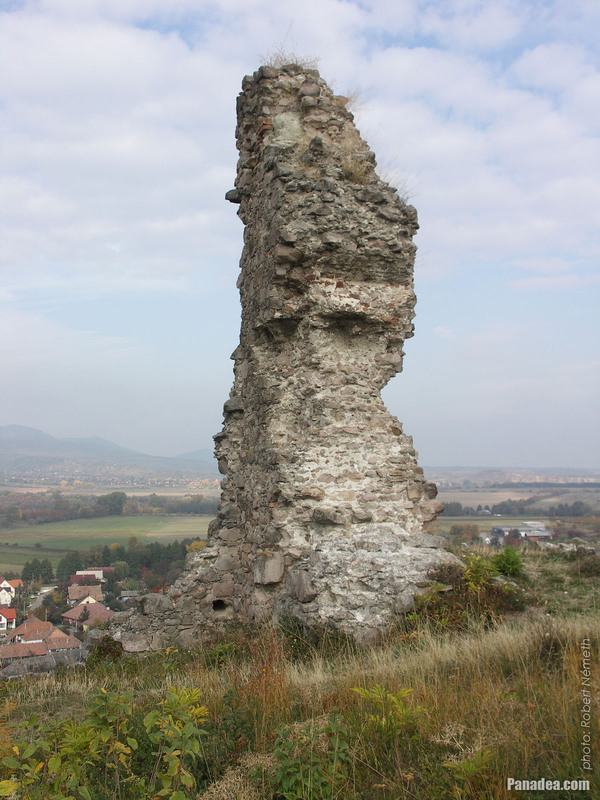 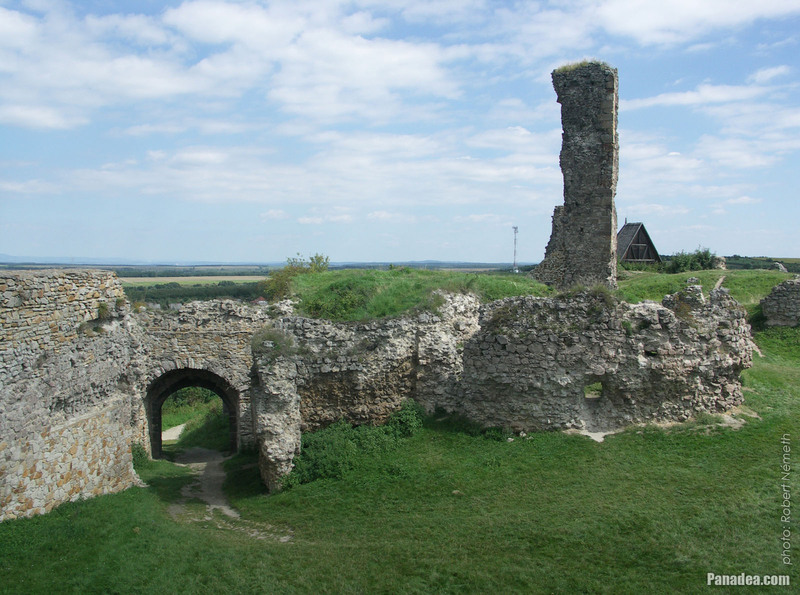 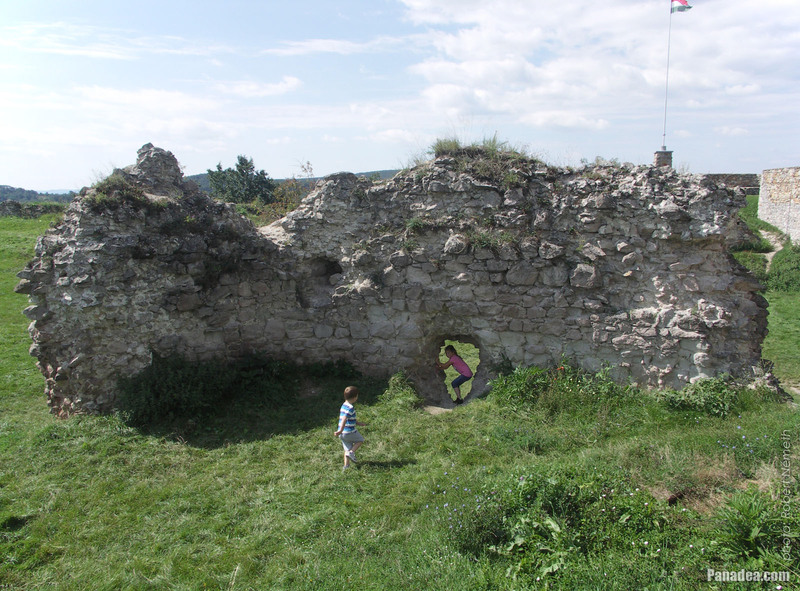 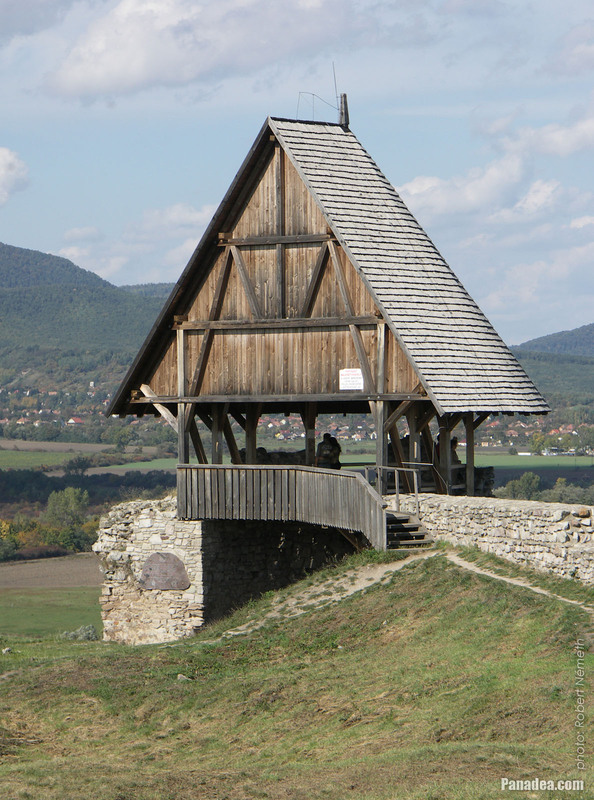 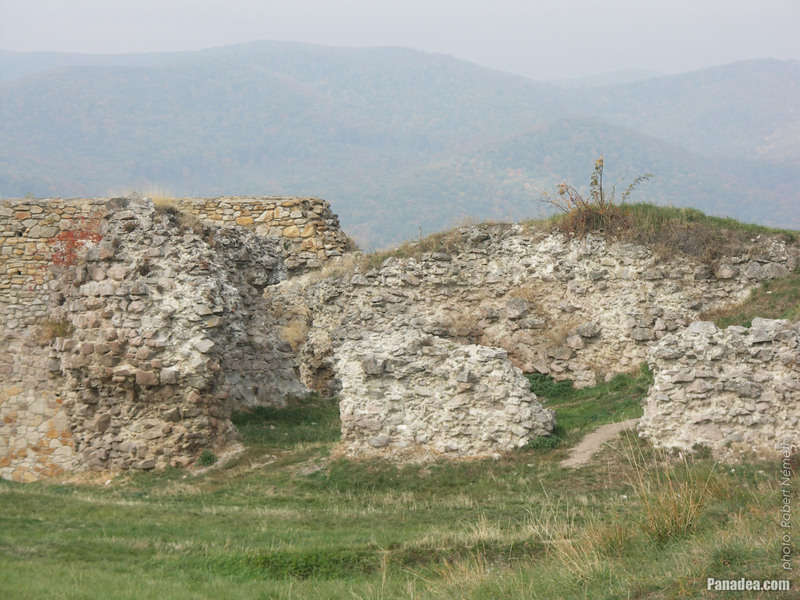 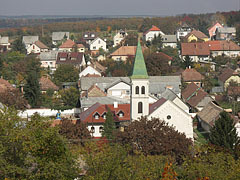 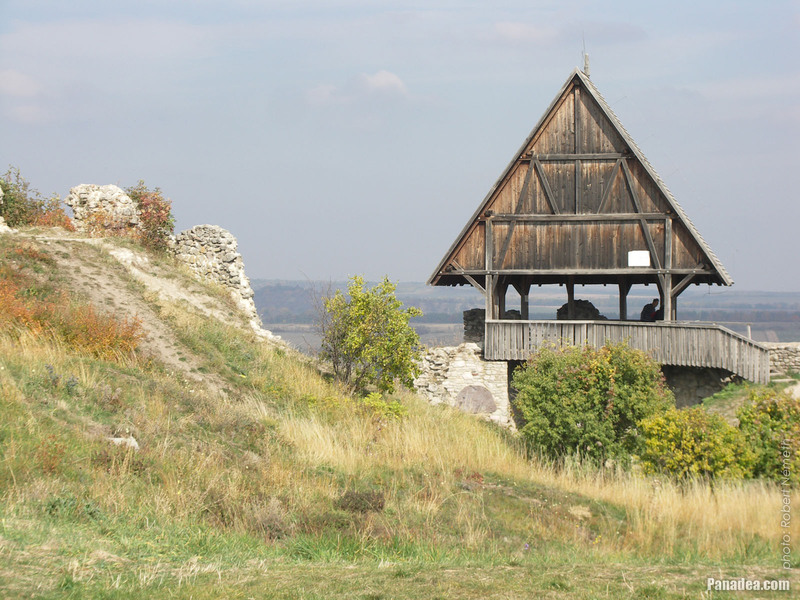 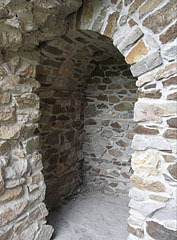 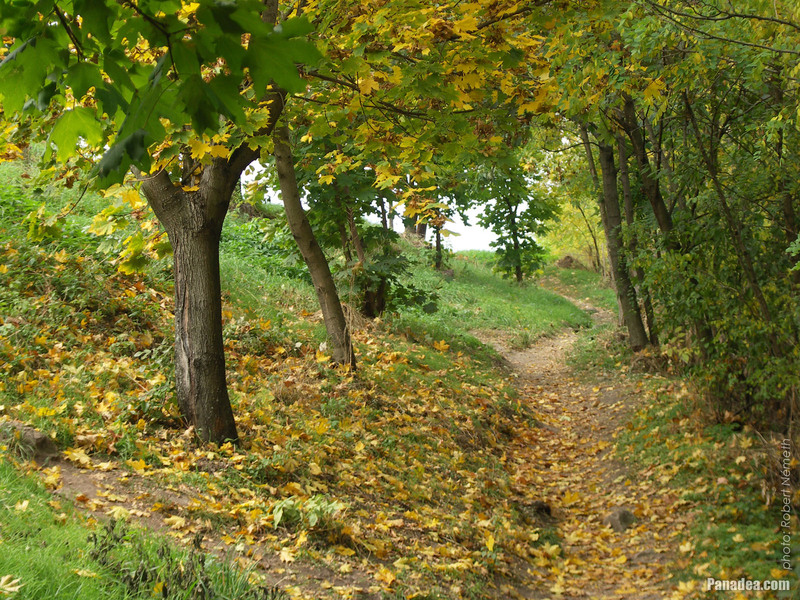 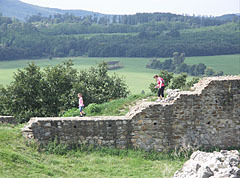 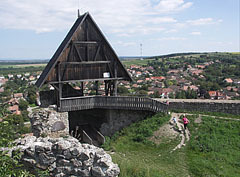 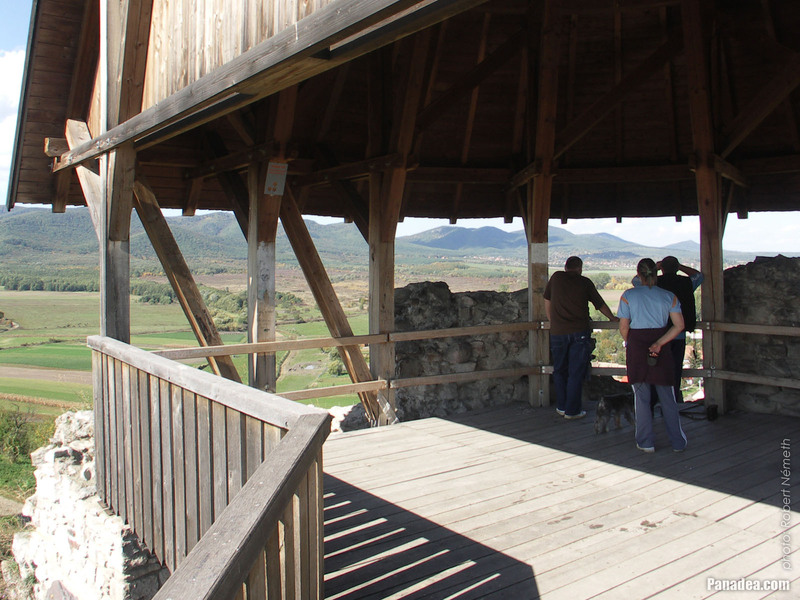 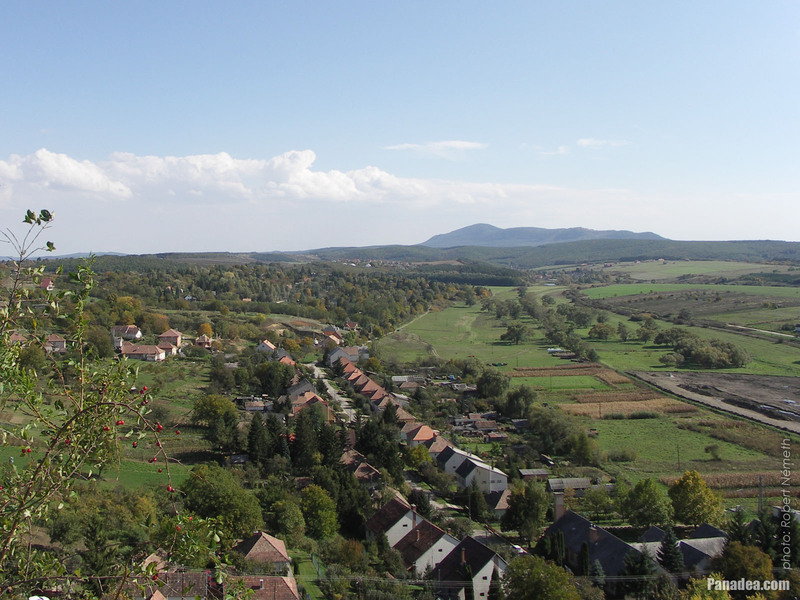 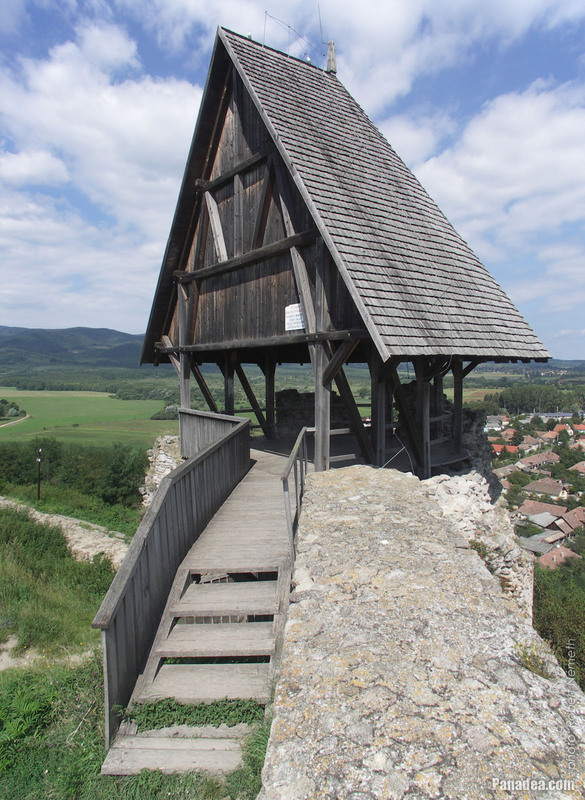 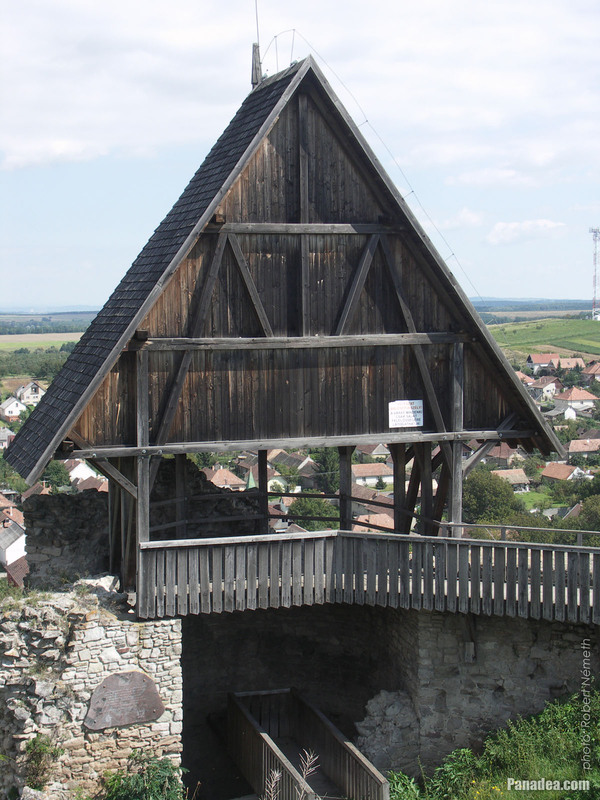 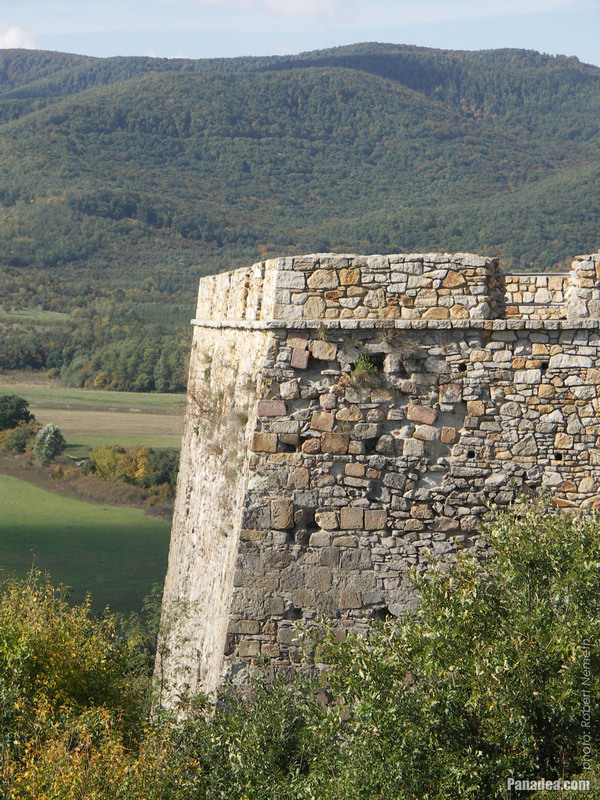 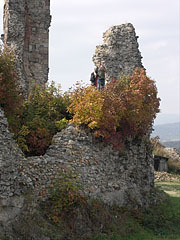 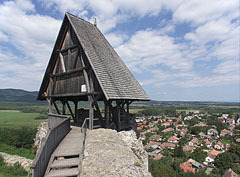 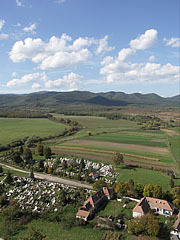 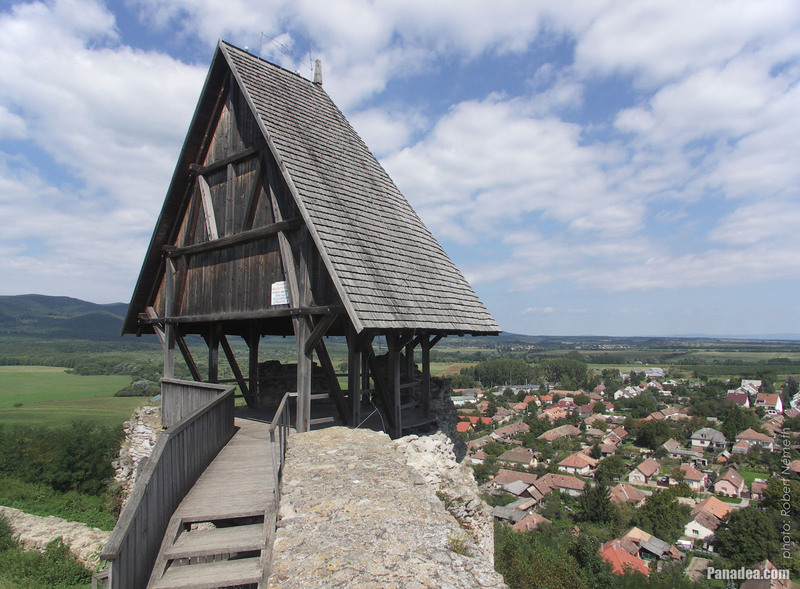 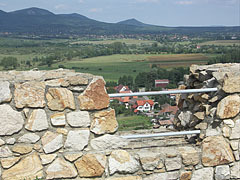 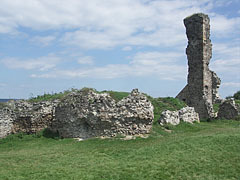 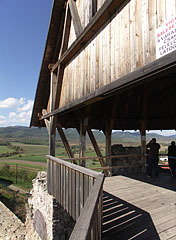 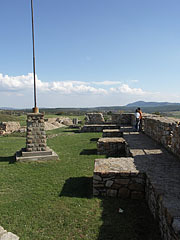 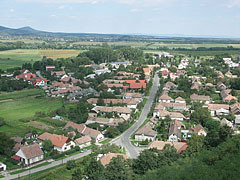 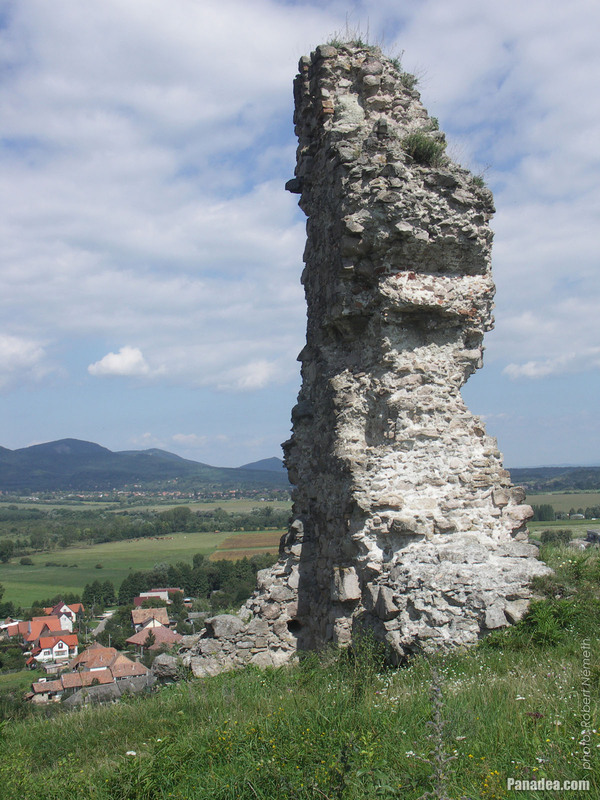 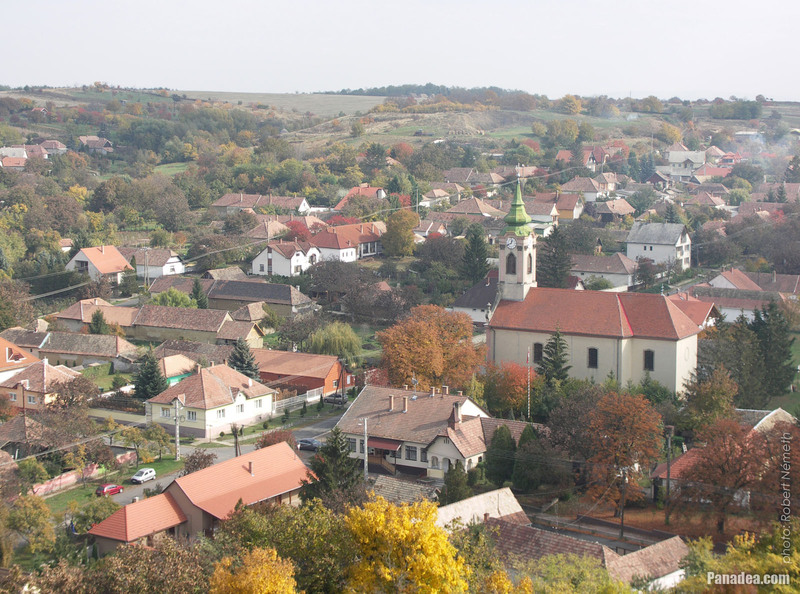 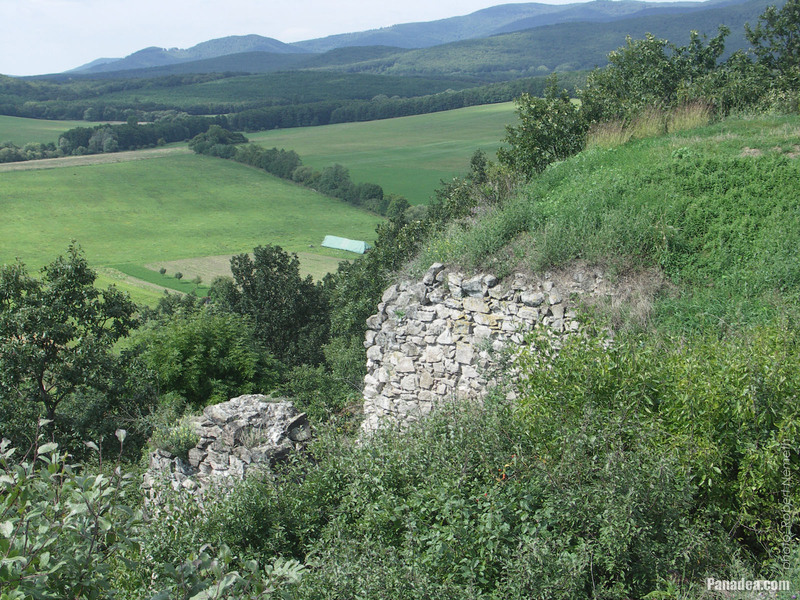 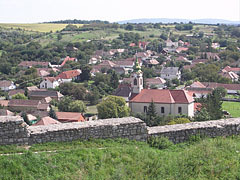 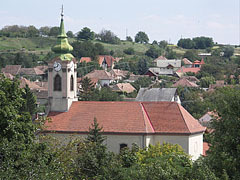 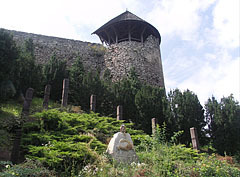 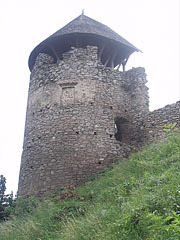 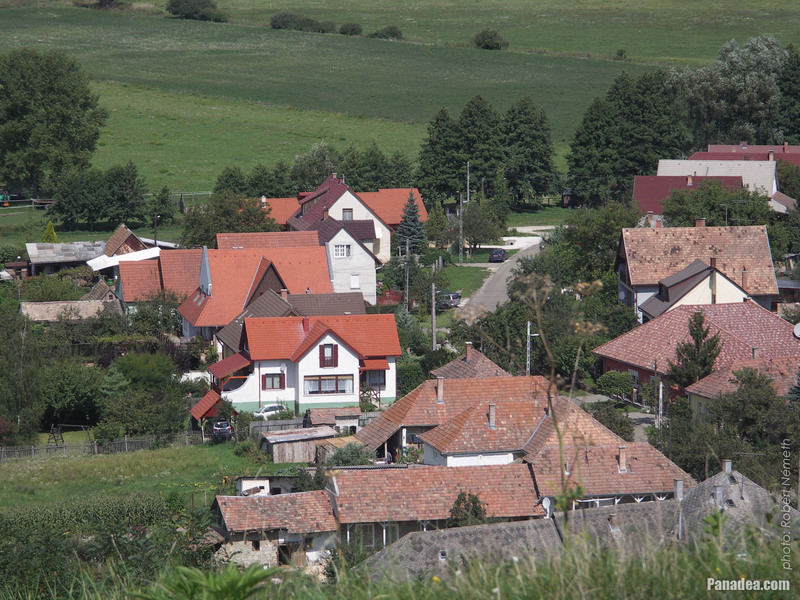 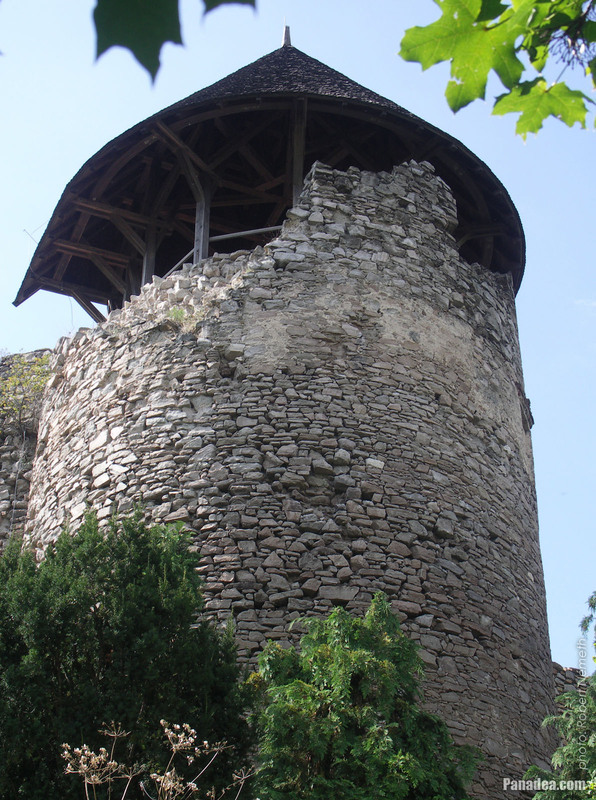 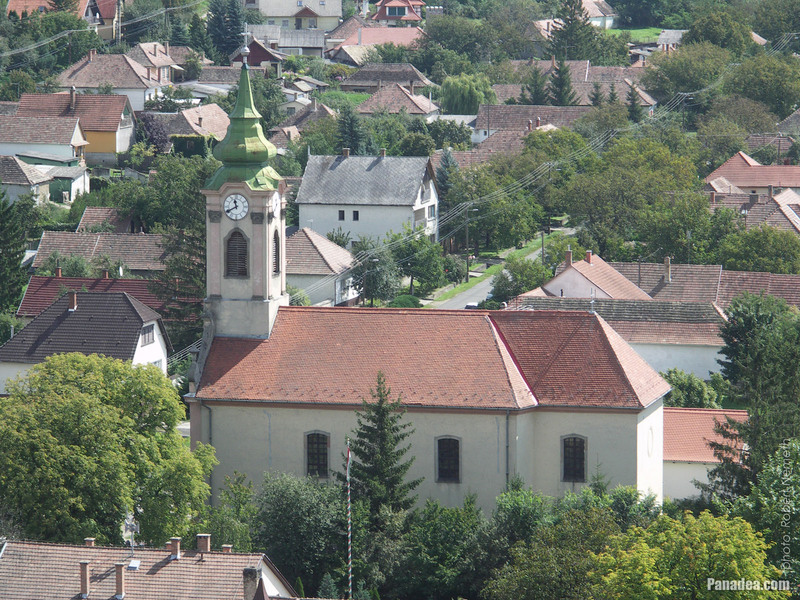 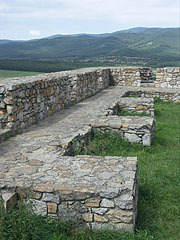 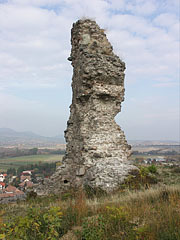 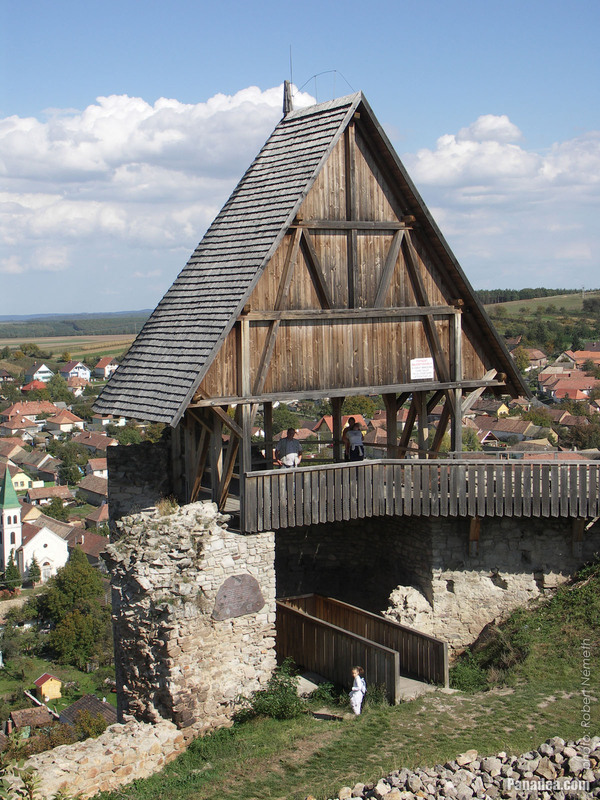 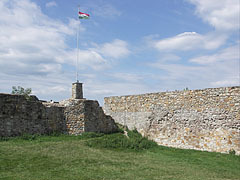 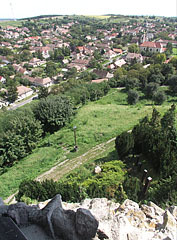 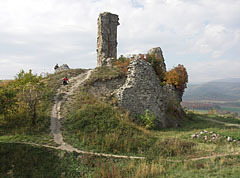 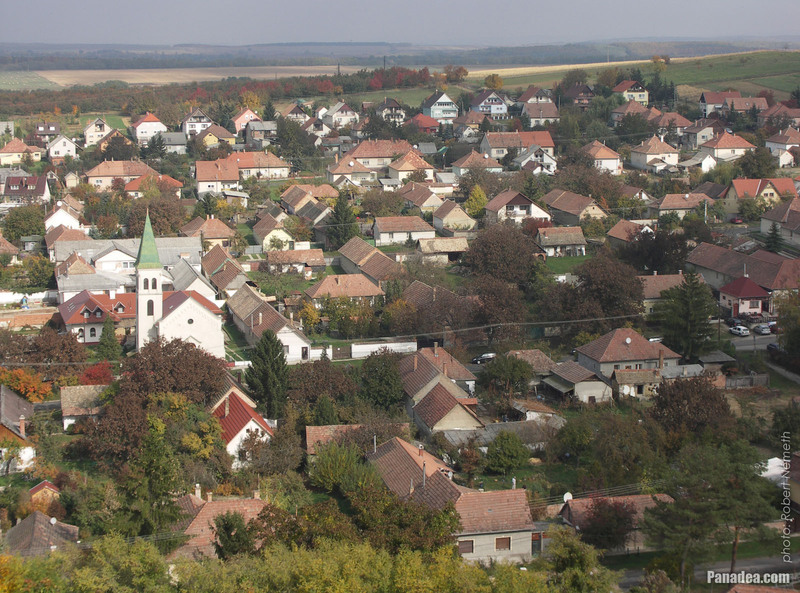 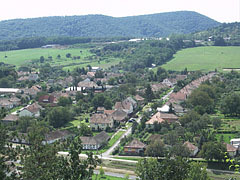 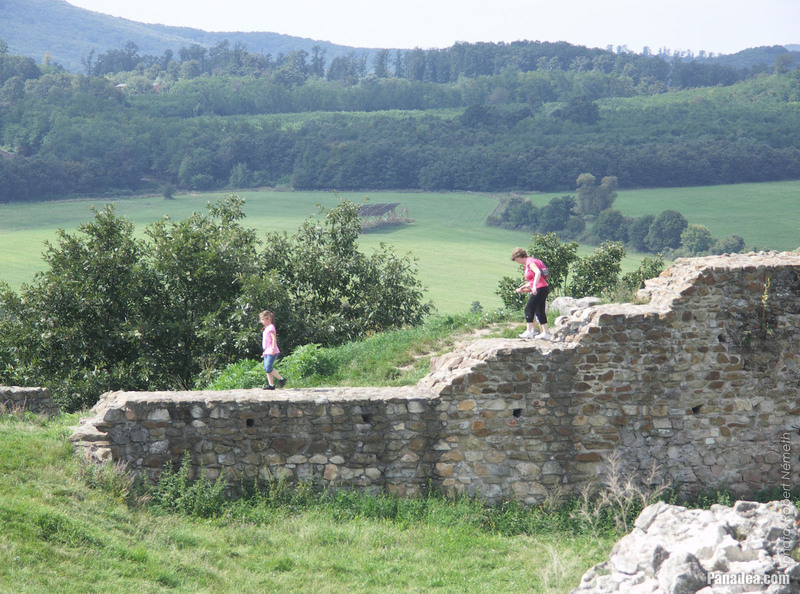 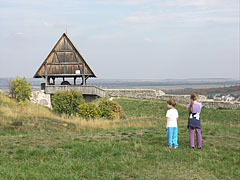 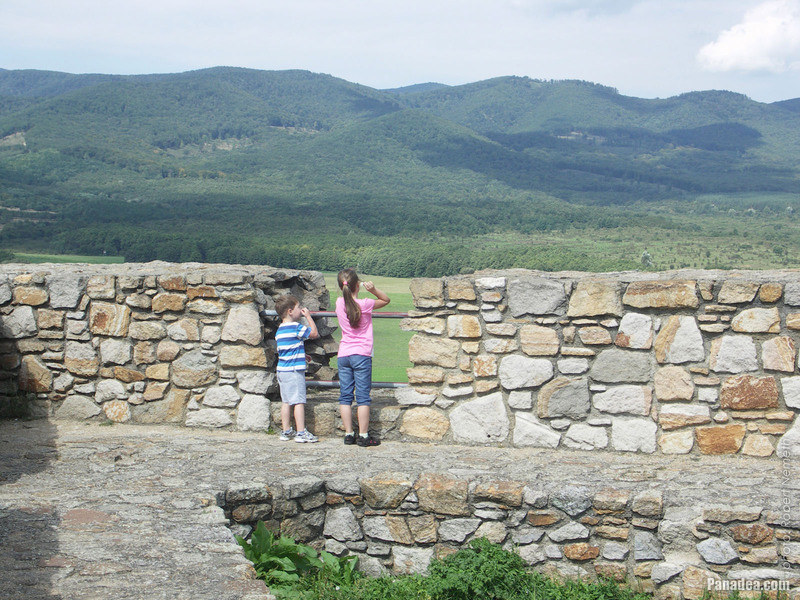 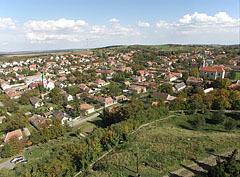 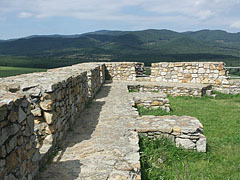 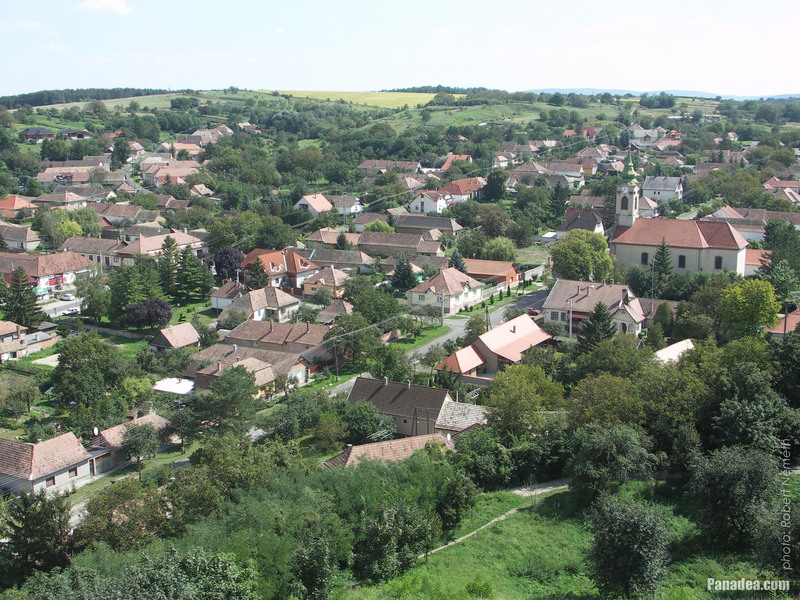 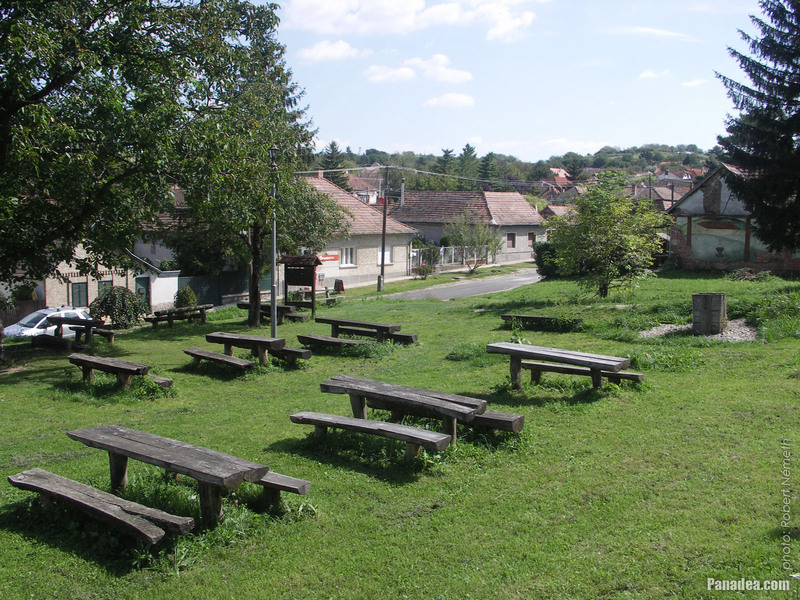 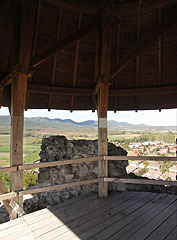 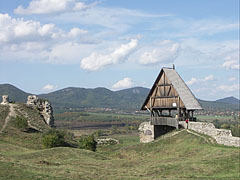 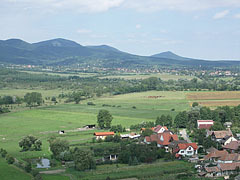 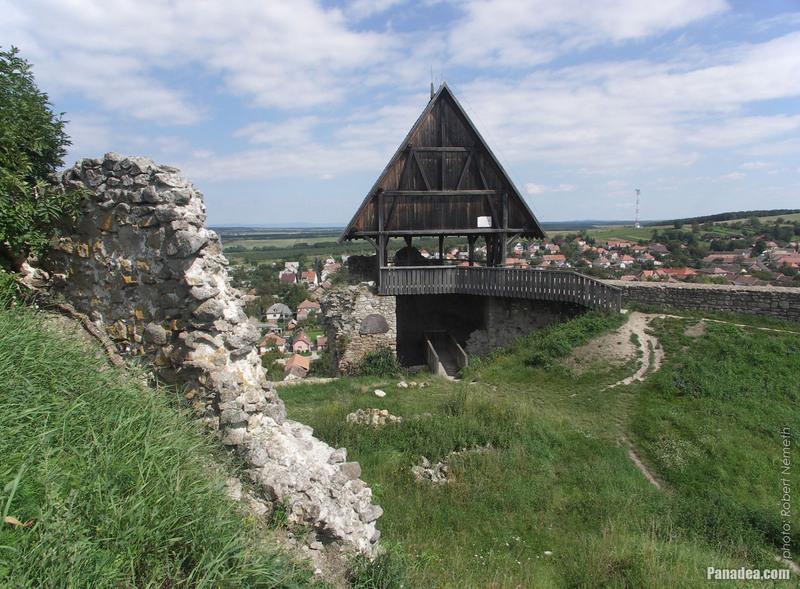 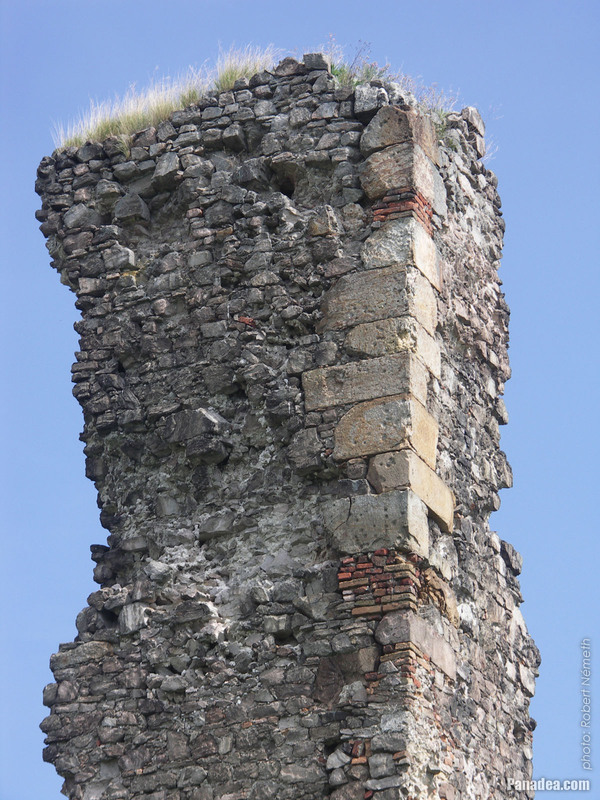 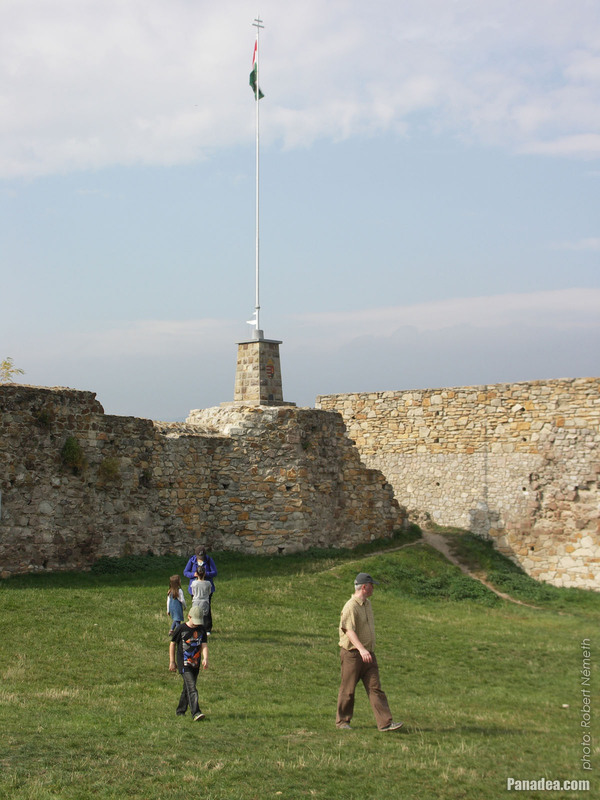 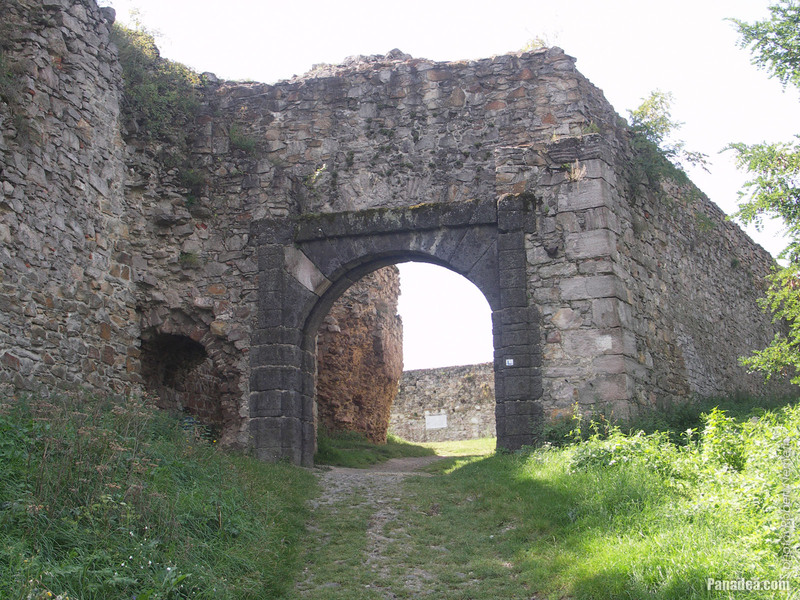 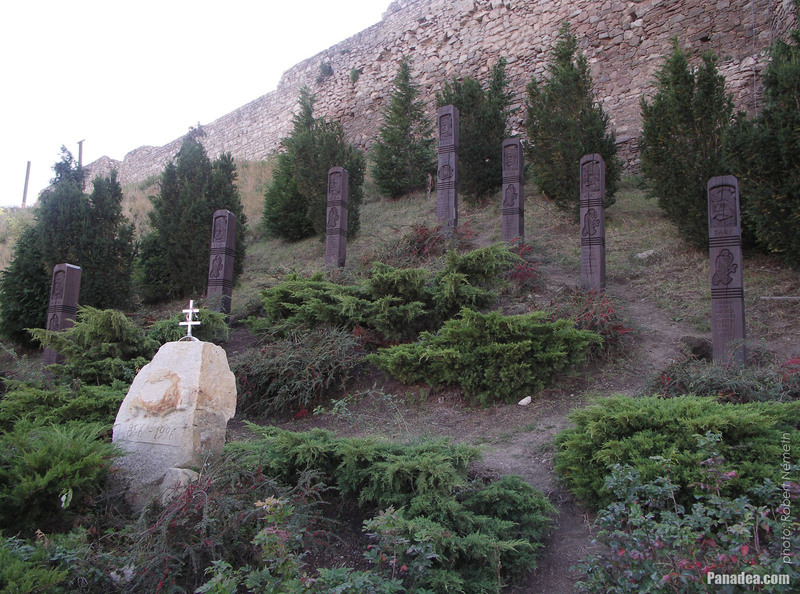 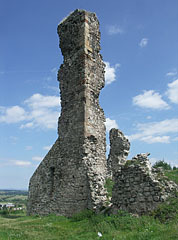 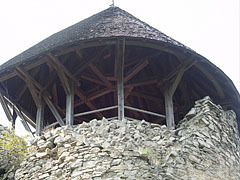 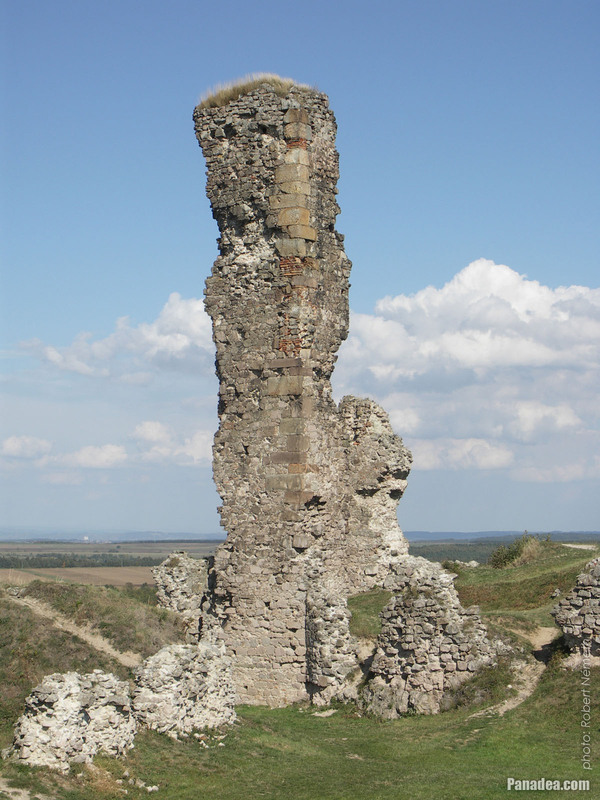 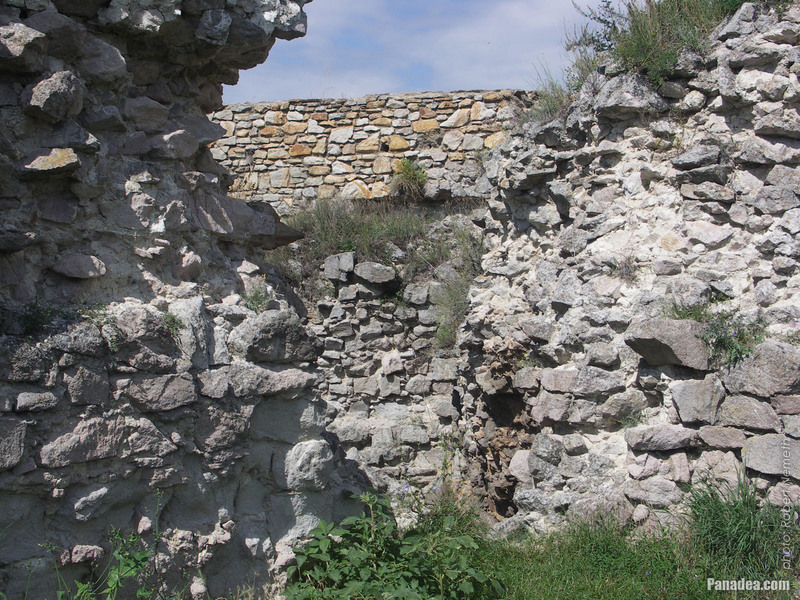 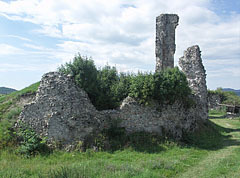 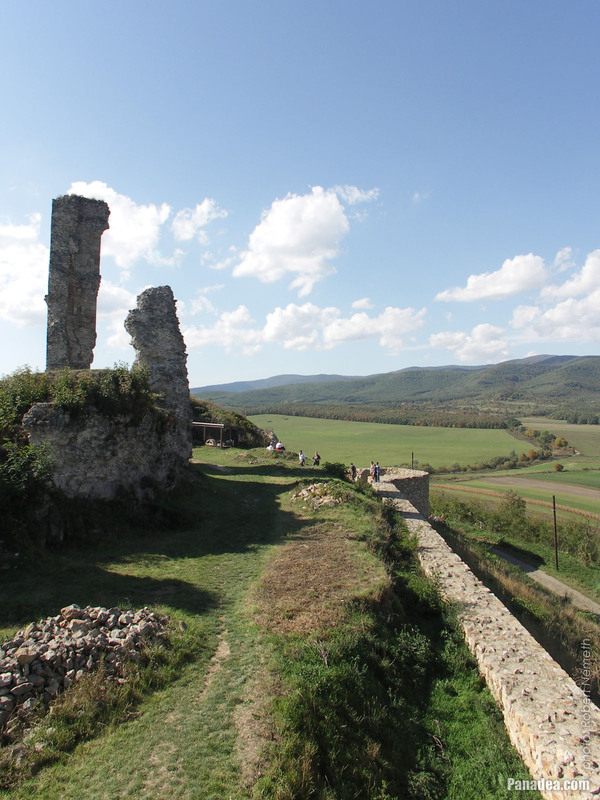 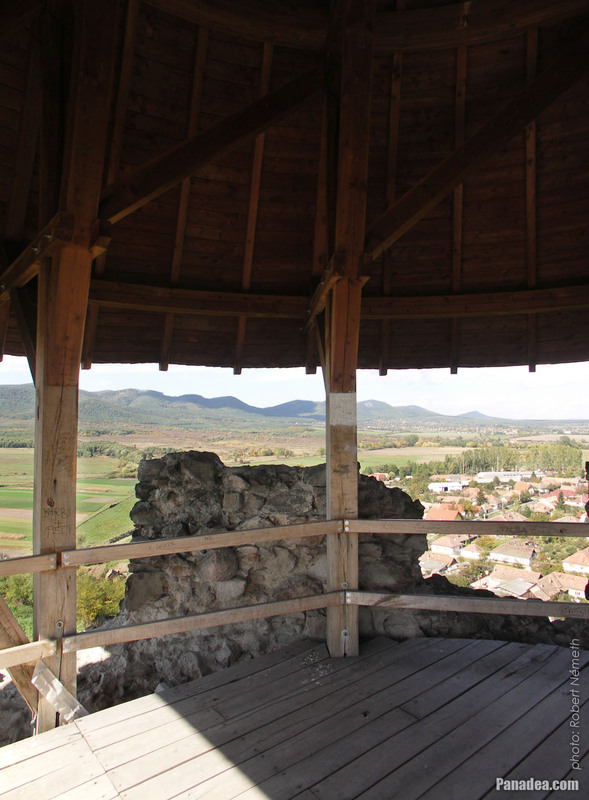 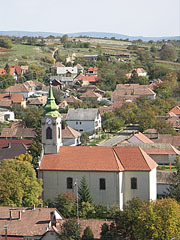 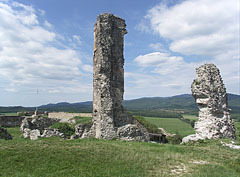 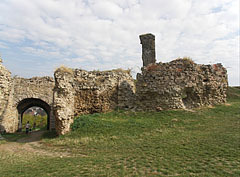 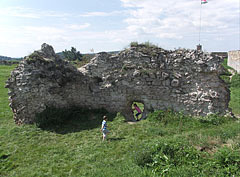 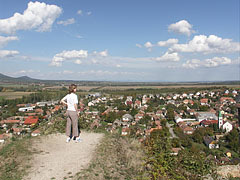 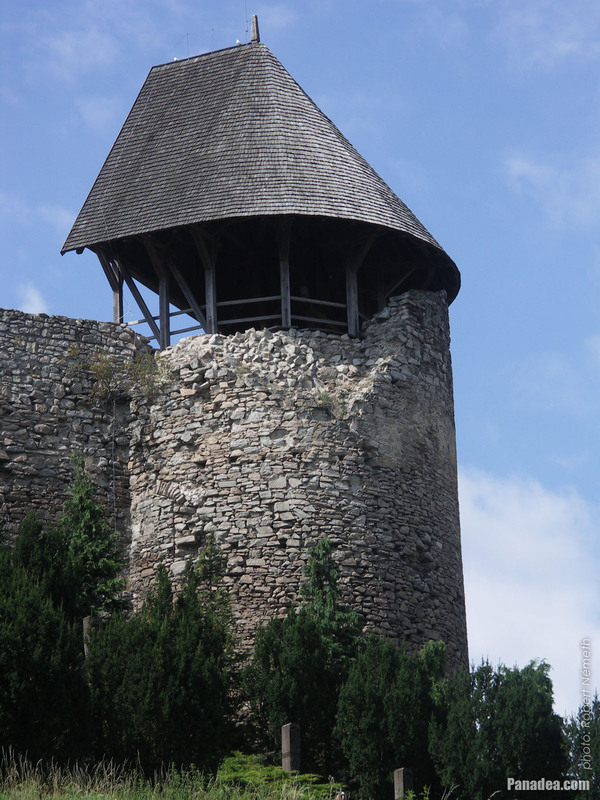 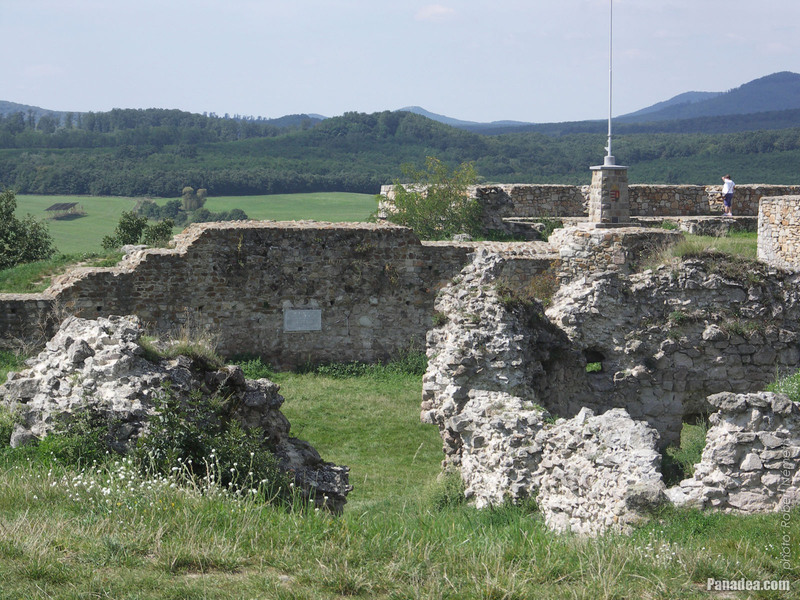 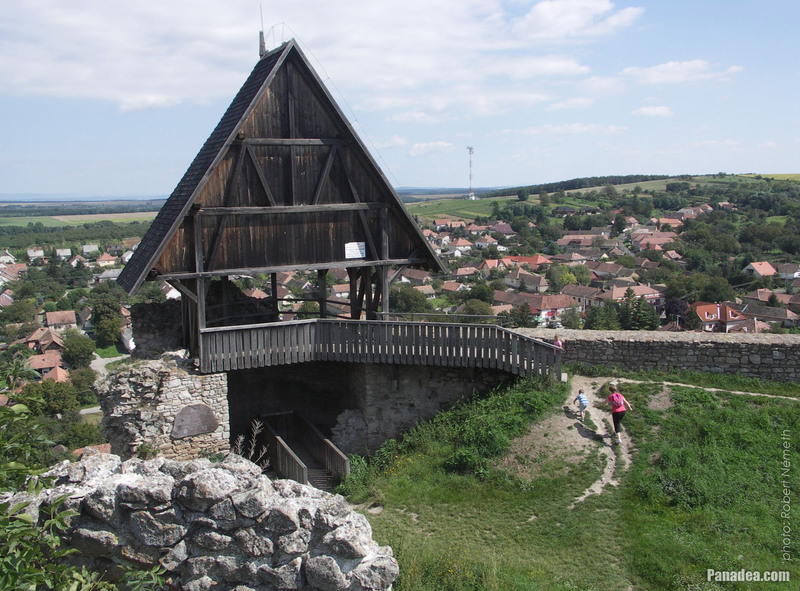 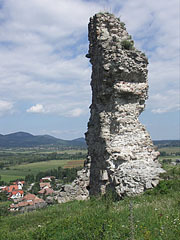 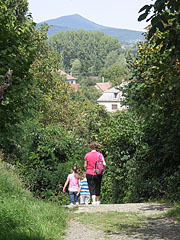 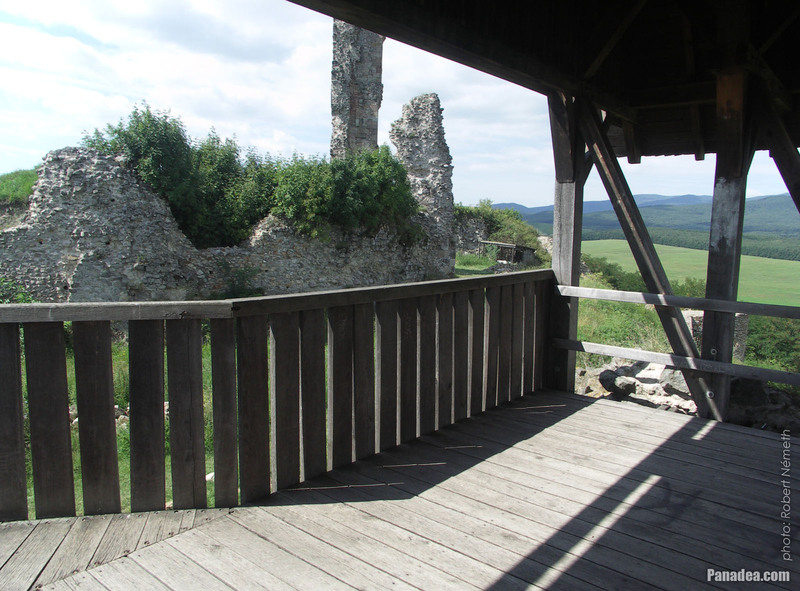 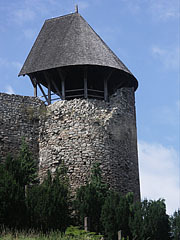 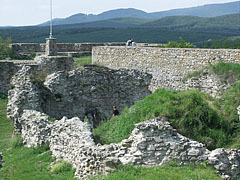 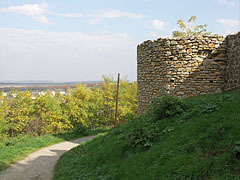 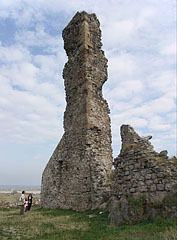 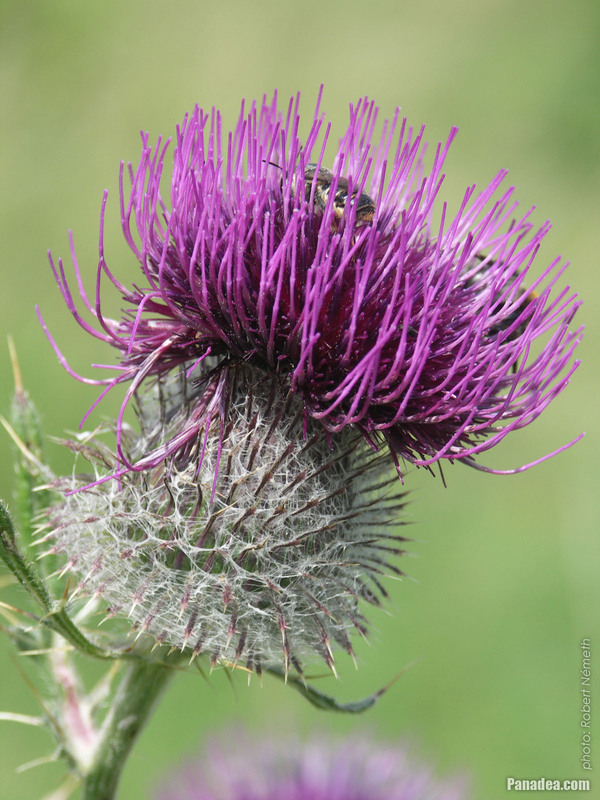 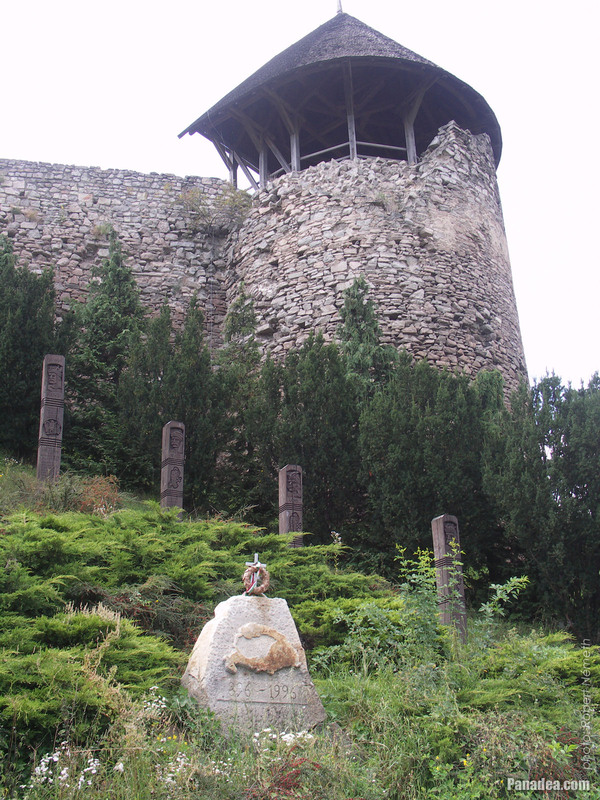 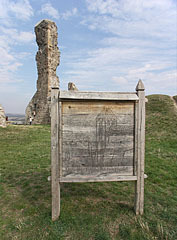 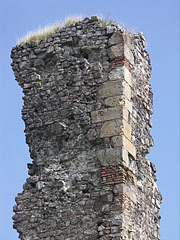 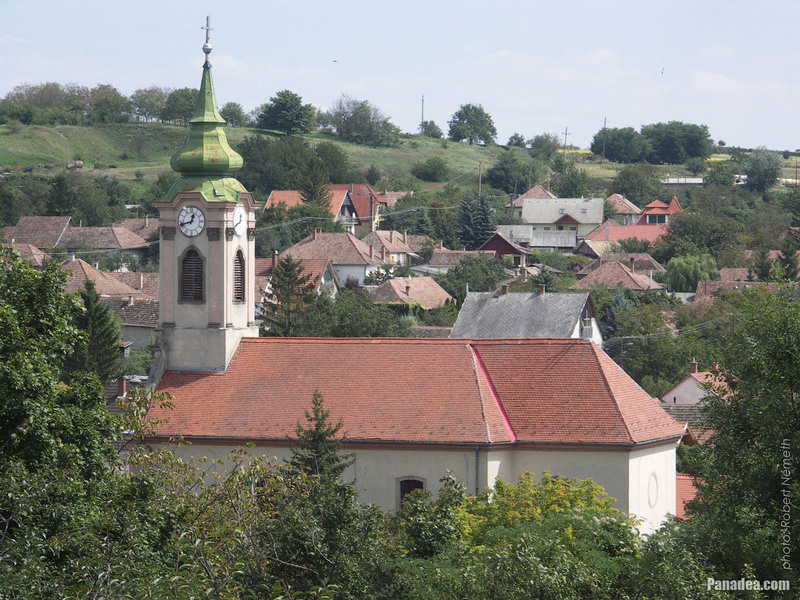 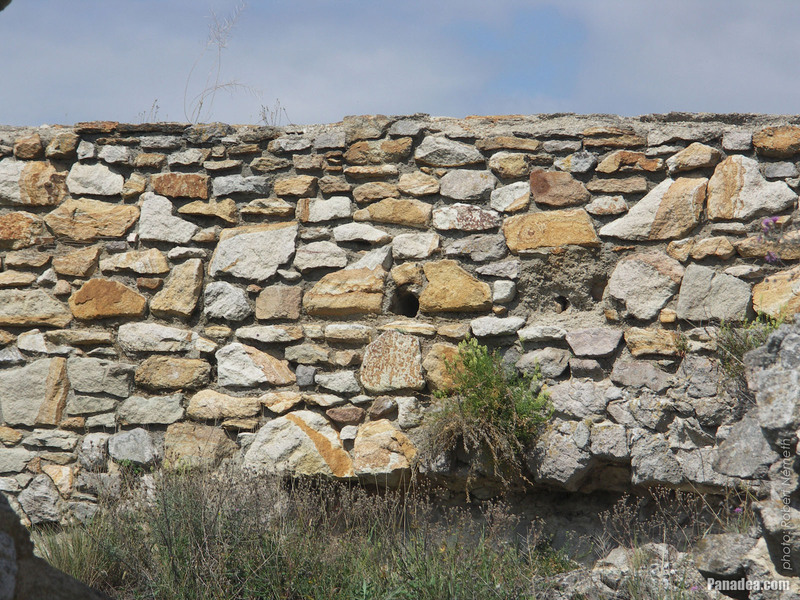 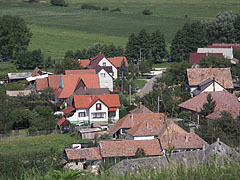 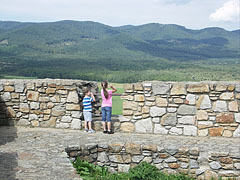 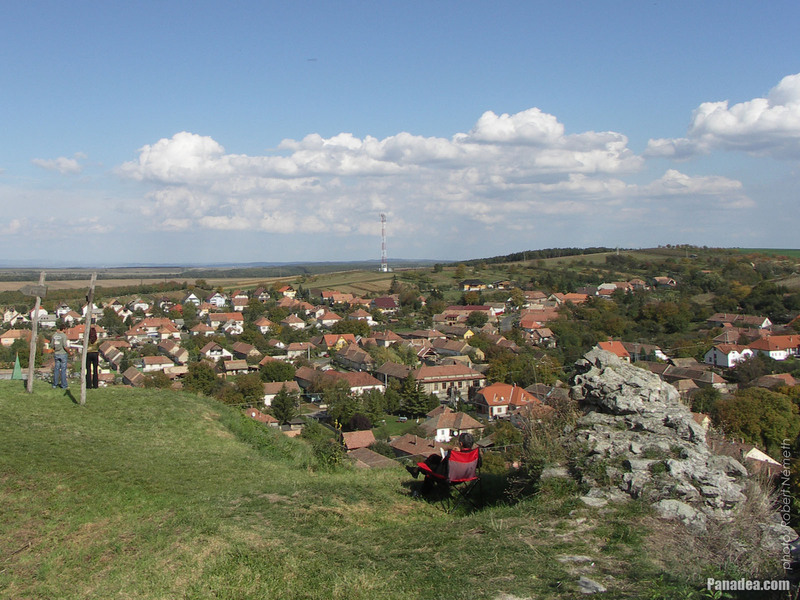 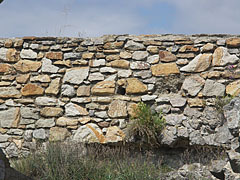 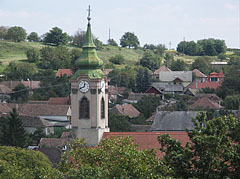 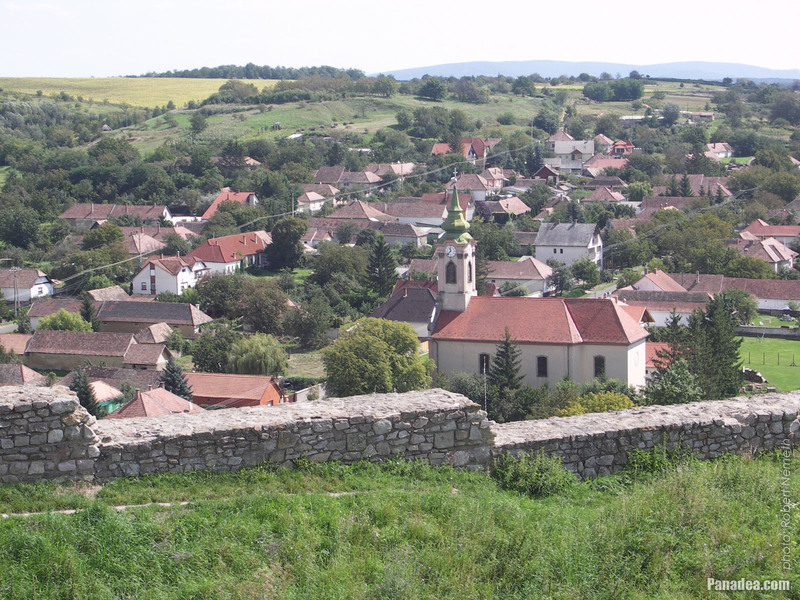 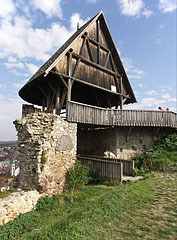 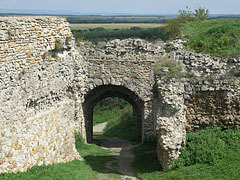 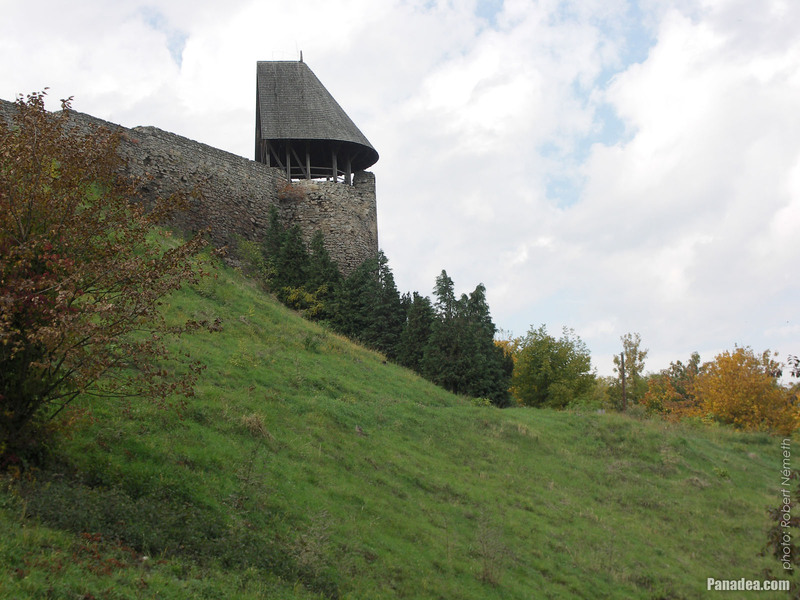 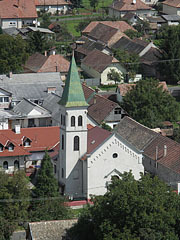 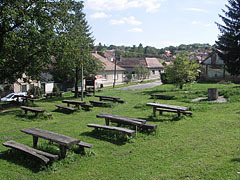 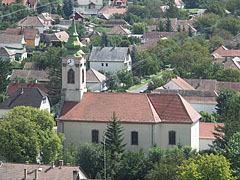 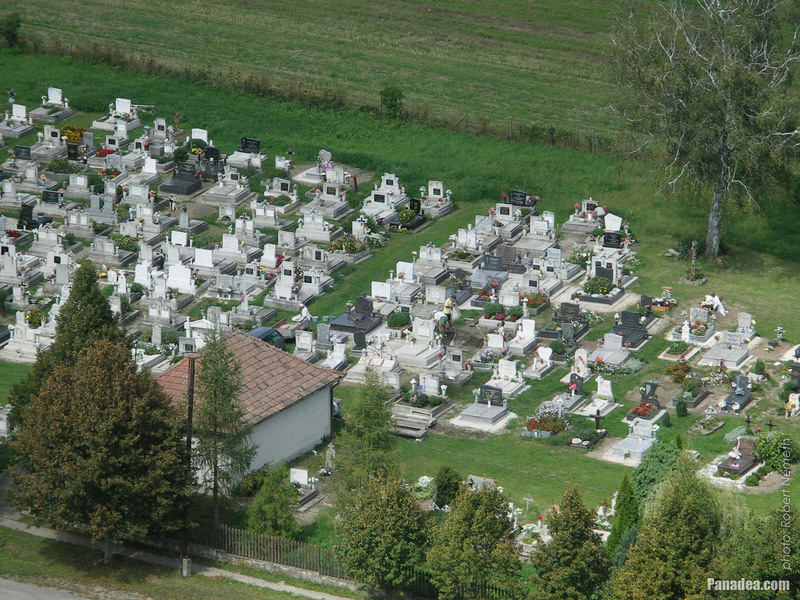 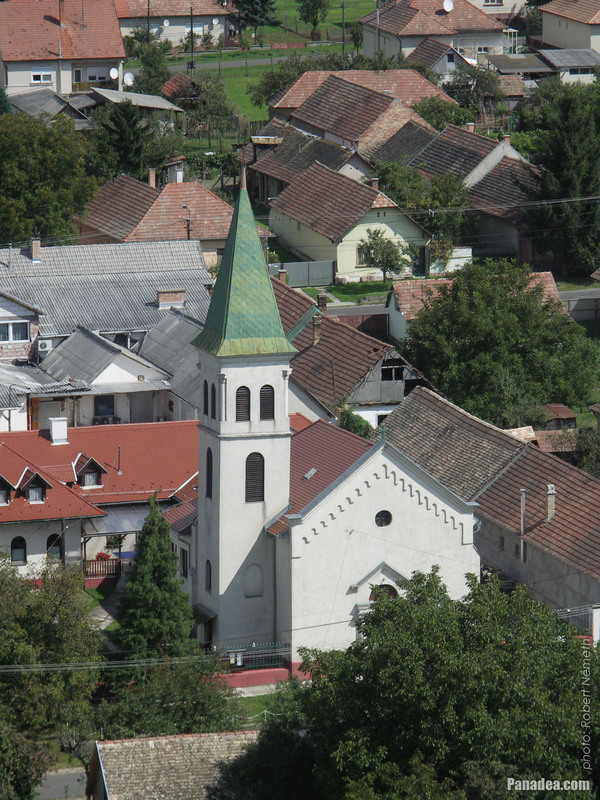 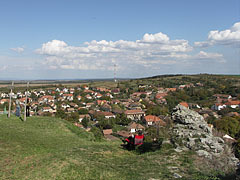 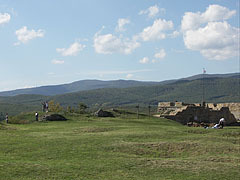 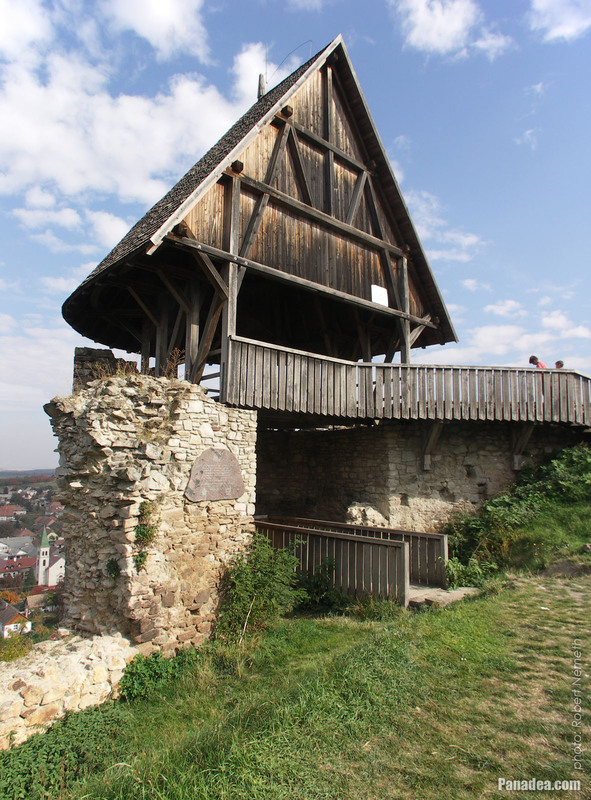 It is one of the few relatively well-preserved parts of the medieval fortress. 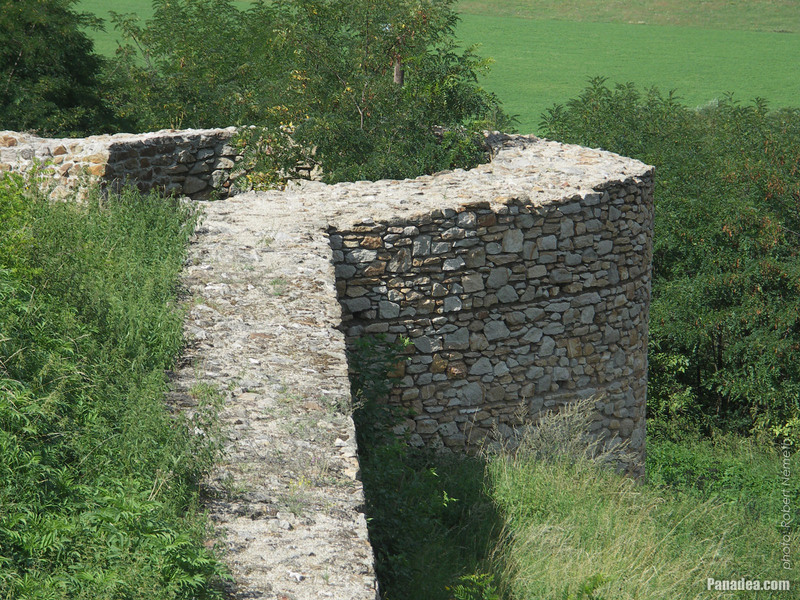 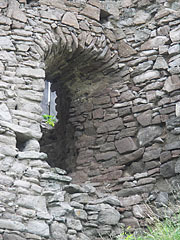 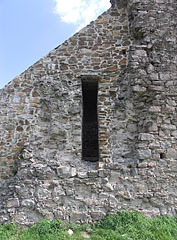 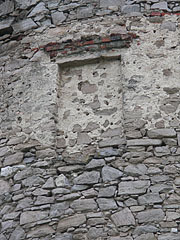 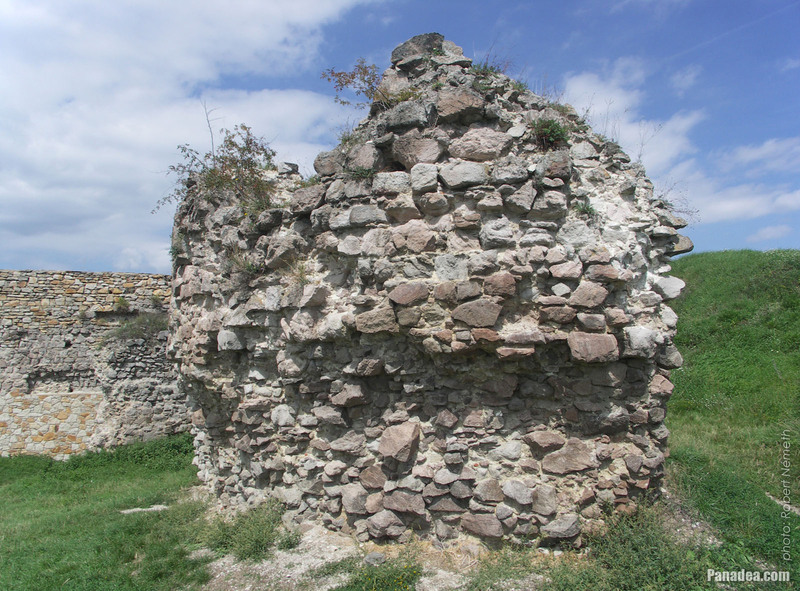 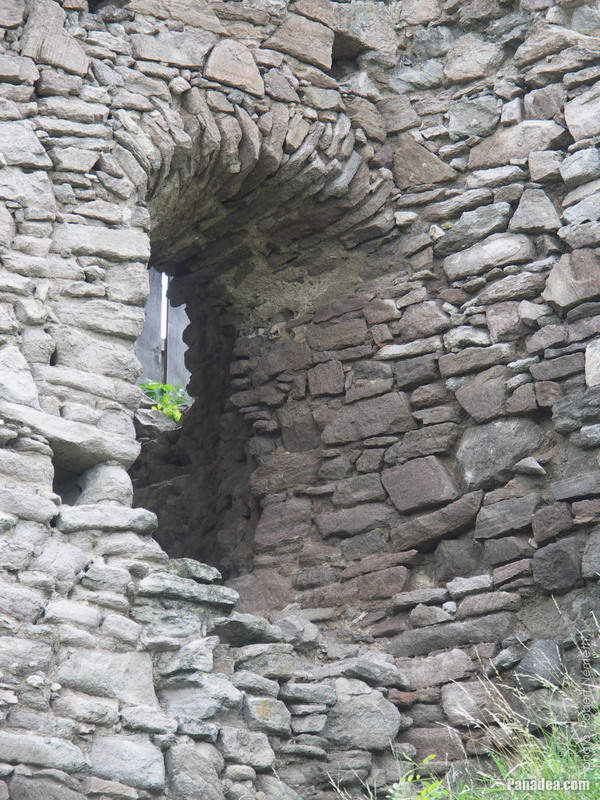 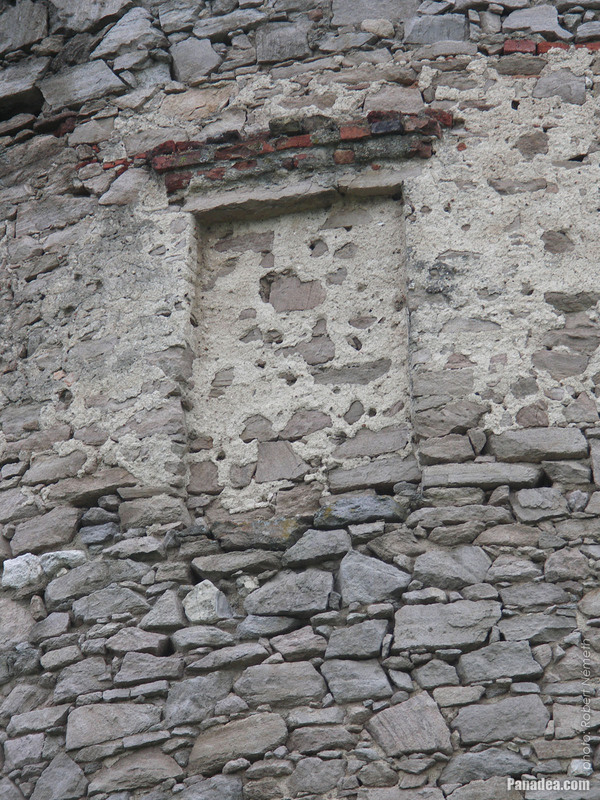 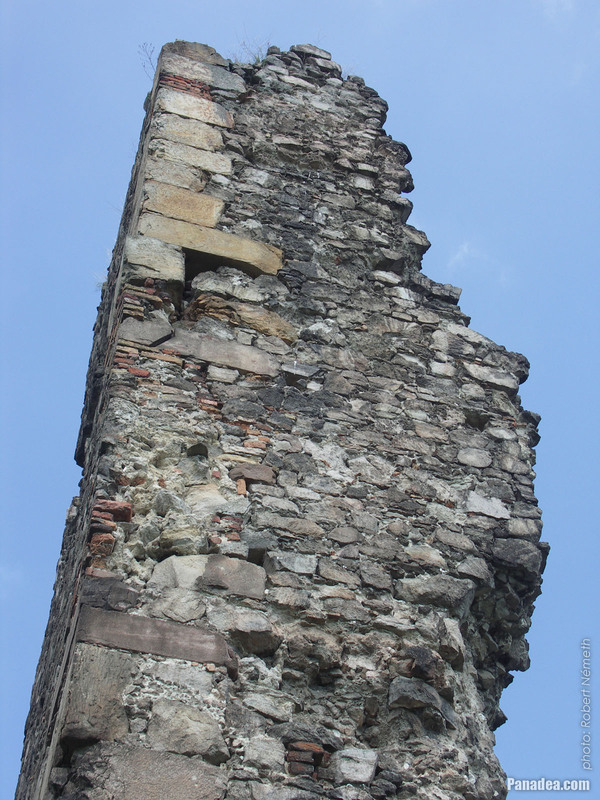 The contrast compared to the partially restored outer walls is clearly visible. 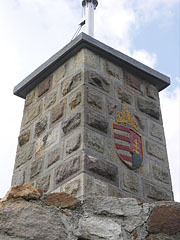 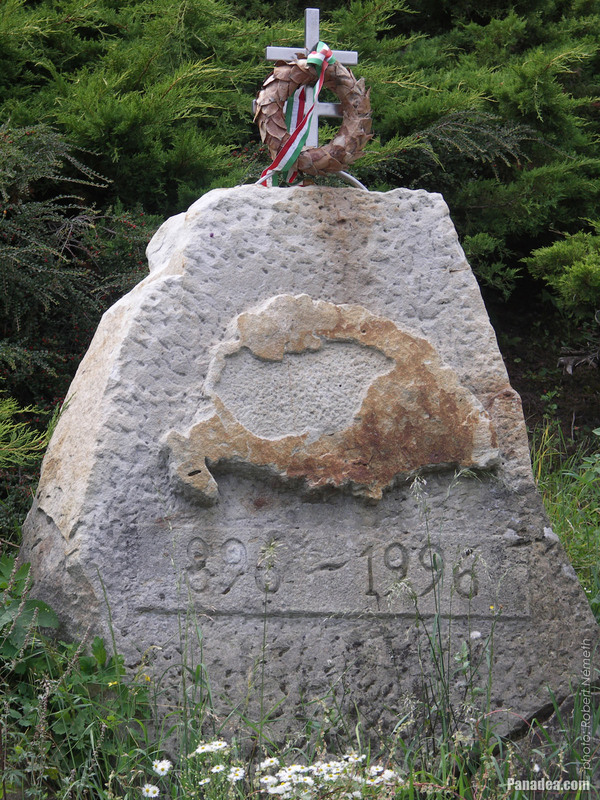 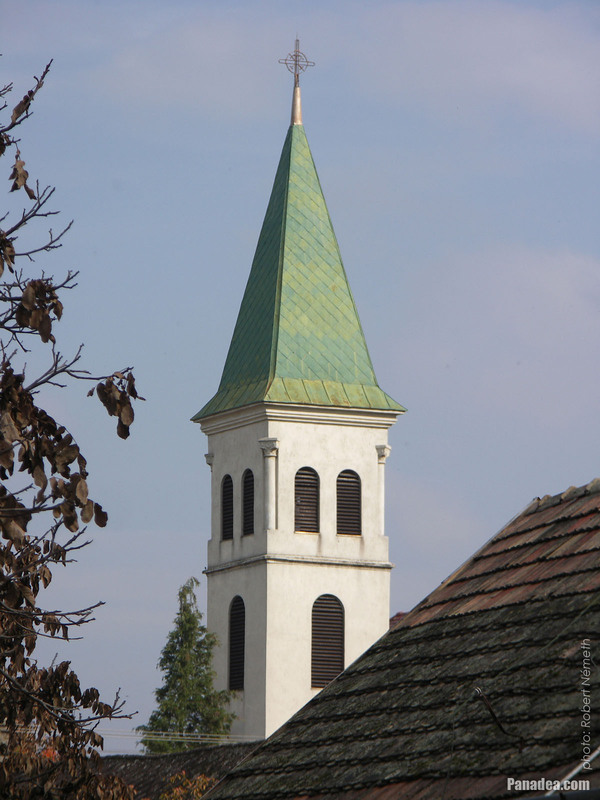 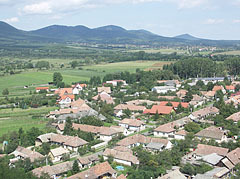 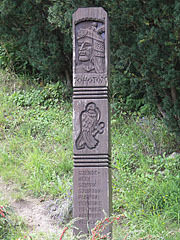 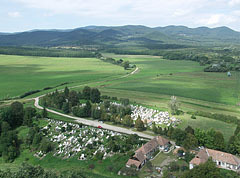 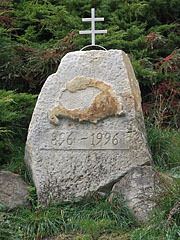 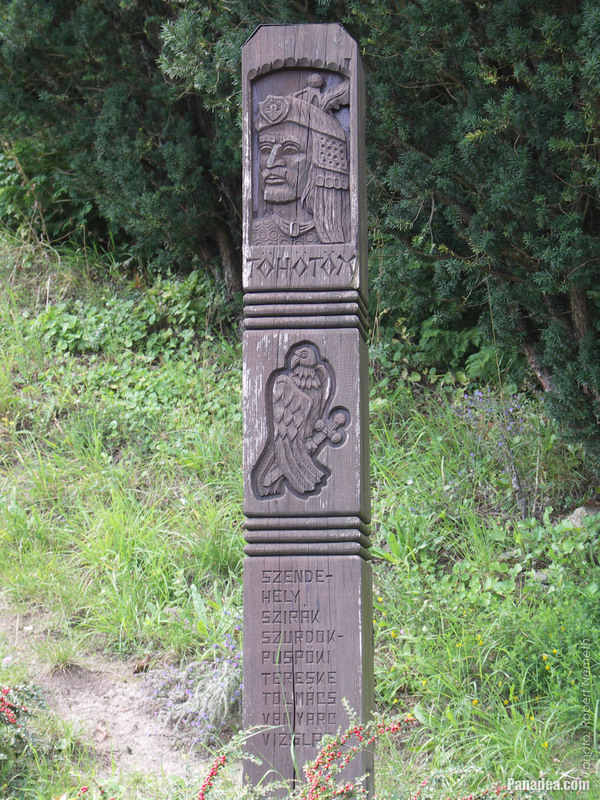 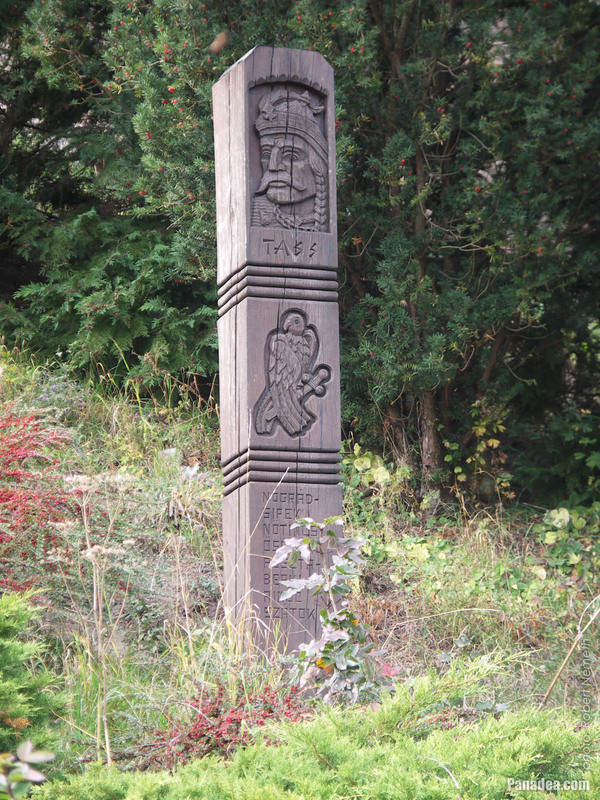 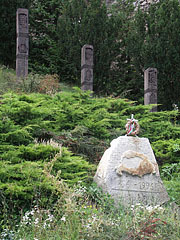 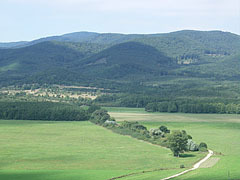 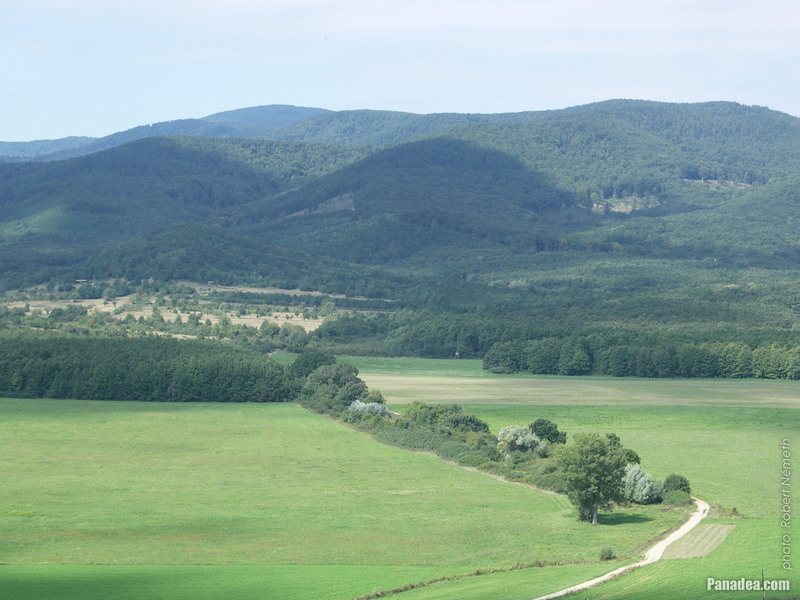 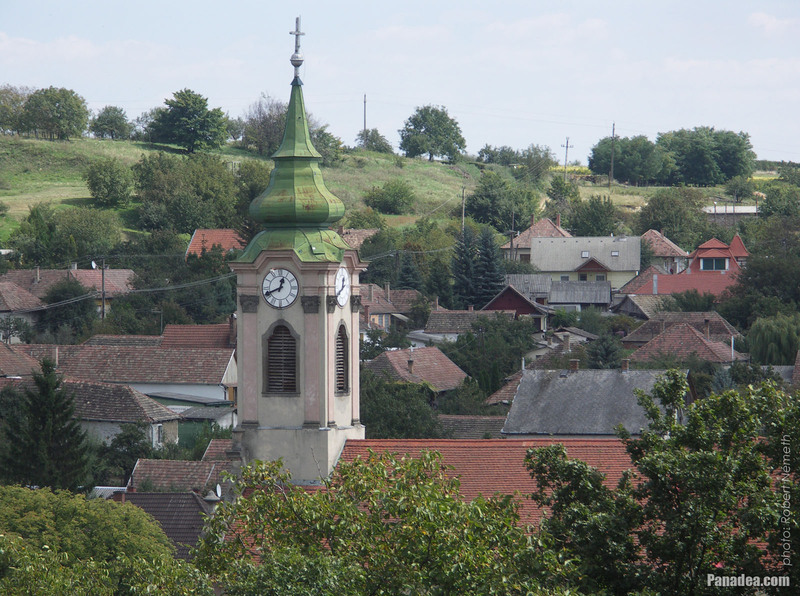 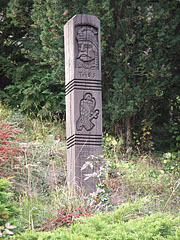 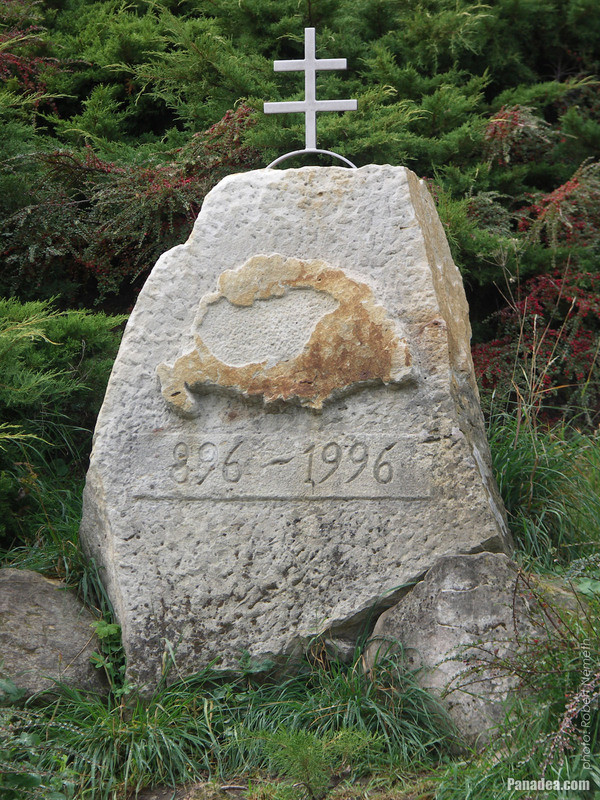 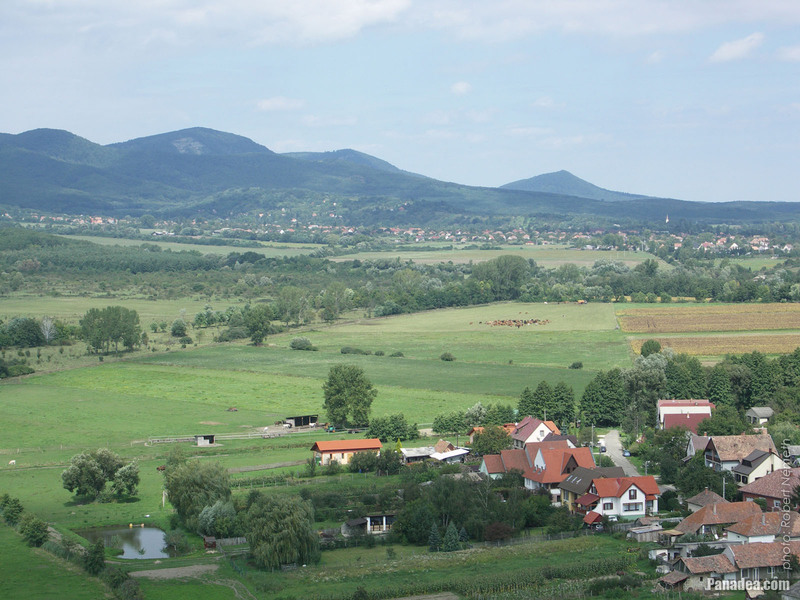 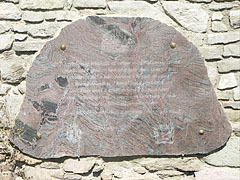 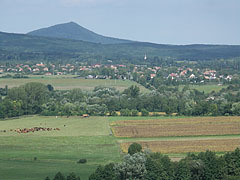 It was created in 1996 for the 1100th anniversary of the Hungarian Conquest of the Carpathian Basin, sculptor: István Salló.